Finally December has arrived, heralding the start of Winter. And with it a month of festive planning, carols by candlelight and sellotape everywhere! Since, here at home, we also celebrate two birthdays this month, the celebrating can seem never ending. Because there’s only so much cake you can eat, isn’t there? 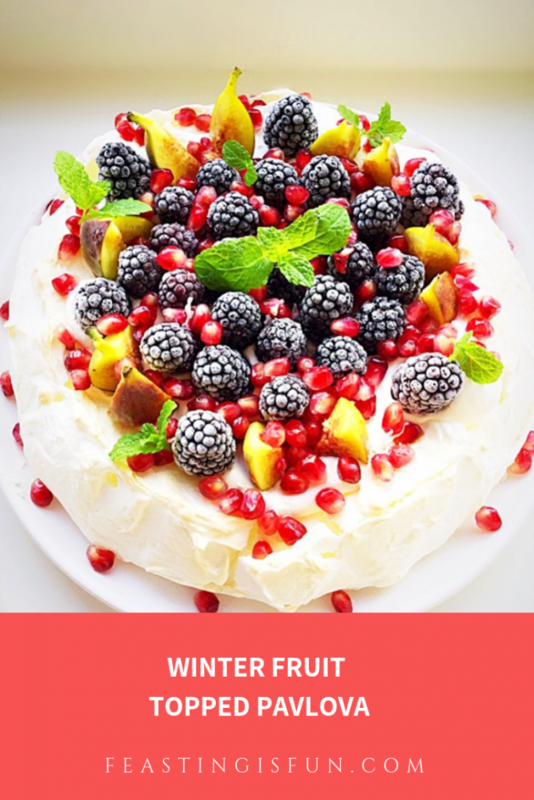 Fear not, because this Winter Fruit Topped Pavlova is the perfect celebratory dessert. For me, Pavlovas always feel like such an elegant dessert. Yet they are simple to make as long as a few basic rules are followed. They cannot be rushed. Either during the whisking or baking stage. 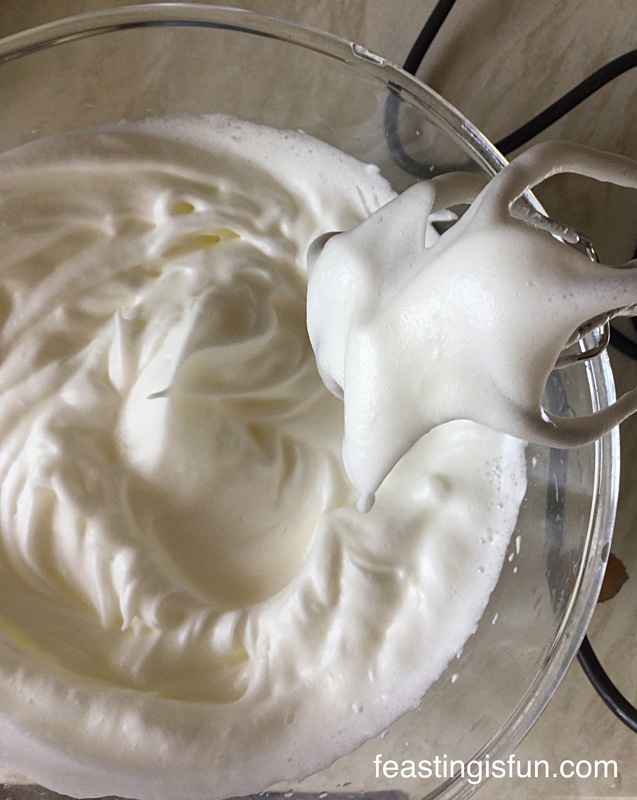 While whisking, all of the sugar must be given time to dissolve in the egg white, otherwise it will leak out during cooling and the meringue will collapse. Likewise, once baked the pavlova should be left to cool slowly, preferably in the oven as it also cools down. As a result of rushing this stage the meringue structure is likely to crack badly. Do not let the previous advice put you off of making a pavlova. Rather it should encourage you. Take an extra five minutes (that’s 5 minutes not forever!) to ensure the meringue is properly mixed. Also bake the Pavlova in the evening, leaving it in the oven overnight to cool. Allowing the meringue to cool slowly overnight without tying up the oven. Should the meringue crack, it will be covered with whipped cream and fruit. And no one ever need know! First of all draw an 8in/20cm circle on to a piece of baking parchment. Turn the paper over and place on to a baking tray. Wipe around the inside of a very clean, large bowl with half a lemon. Add four eggs white to the bowl and the juice of half a lemon. Whisk the egg whites until they form a stiff peak. Continue whisking on a medium speed, slowly adding one tablespoon of sugar at a time to the egg whites. When all of the sugar is added the mixture should be thick and glossy. Rub a little of the meringue between your finger and thumb, if it feels gritty continue to whisk. Check again after a couple of minutes. As soon as it feels smooth and silky it is ready. Remove a small amount of the meringue and use it as glue to stick the baking parchment to the baking tray. Spoon the meringue mixture on to the baking parchment, inside the circle. 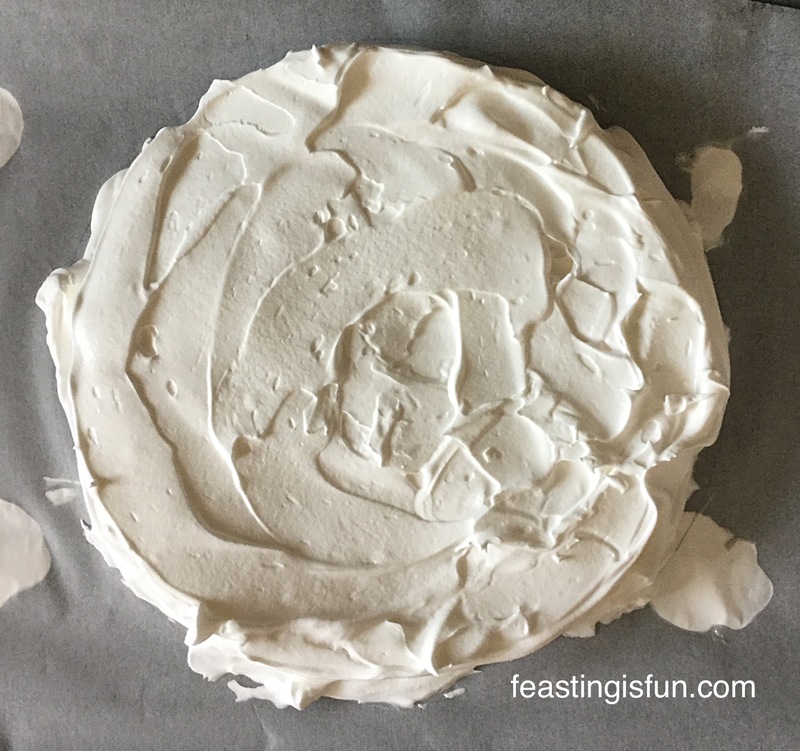 Use a palette knife to shape the meringue into a disc, building up the outside edge. Place the meringue into the centre of the oven and bake at the preheated temperature for 5 minutes. Reduce the oven temperature to 120C/100C fan, 250F, gas mark 1/2 and continue to bake for 1 hour. Do not open the oven during baking. As soon as the baking time has elapsed turn off the oven and leave the meringue to cool completely in the oven. Once cooled remove the meringue from the oven. Pour the cream into a large bowl. Add the vanilla bean paste. Whip the cream until it is thick but not stiff. Carefully run a palette knife between the meringue and baking parchment. 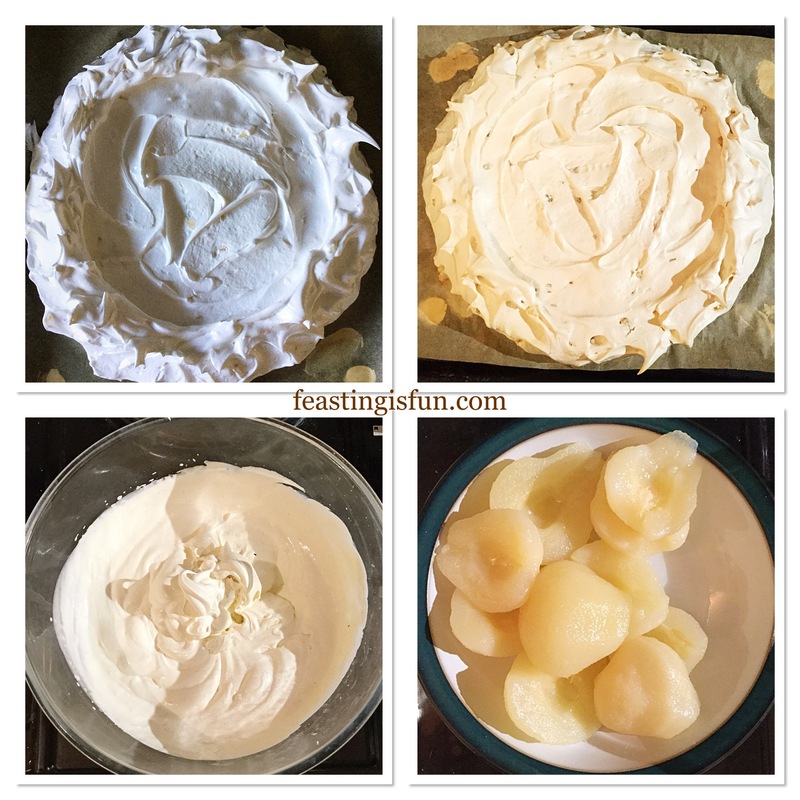 Place the meringue on to a plate or cake stand. Spoon the whipped cream on to the meringue. Add the figs and blackberries. Finally sprinkle over with pomegranate seeds. 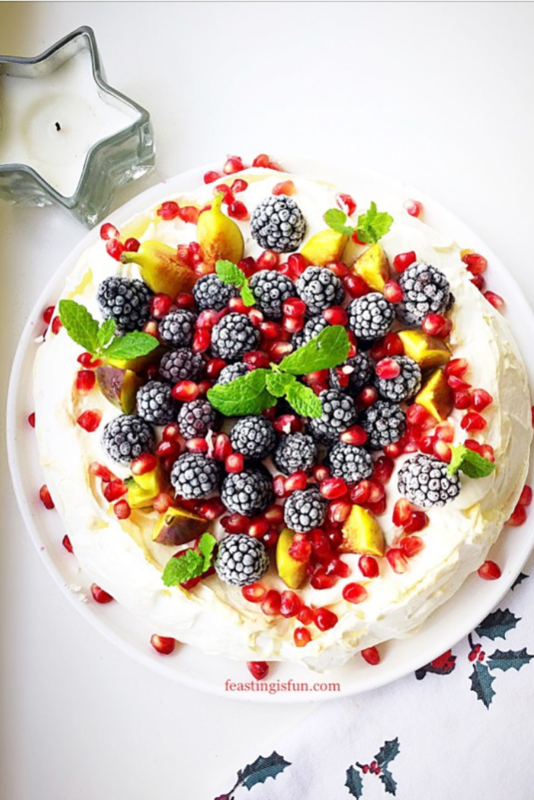 Fill and decorate the Pavlova 1-2 hours prior to serving. So that the blackberries can defrost. 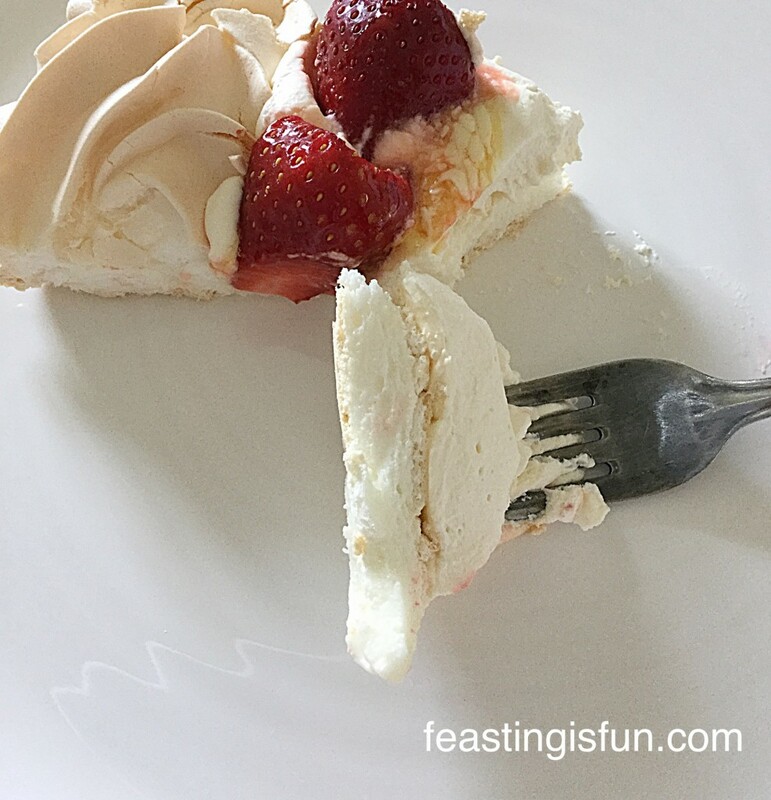 To serve, cut the Pavlova into slices and use a cake knife to transfer to a dessert plate. 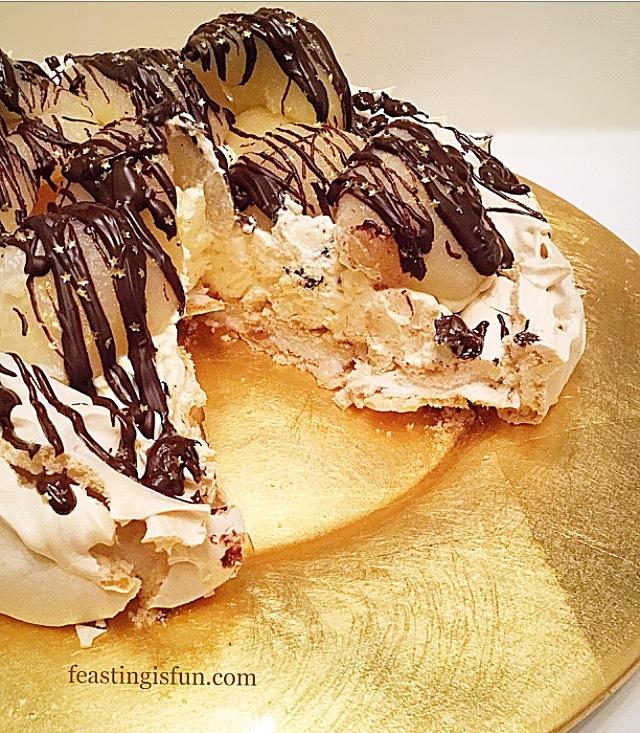 The meringue pavlova base can be made a day in advance. Once filled and decorated keep the Pavlova refrigerated and away from strong smells. The Pavlova will keep for up to 2 days in the fridge. 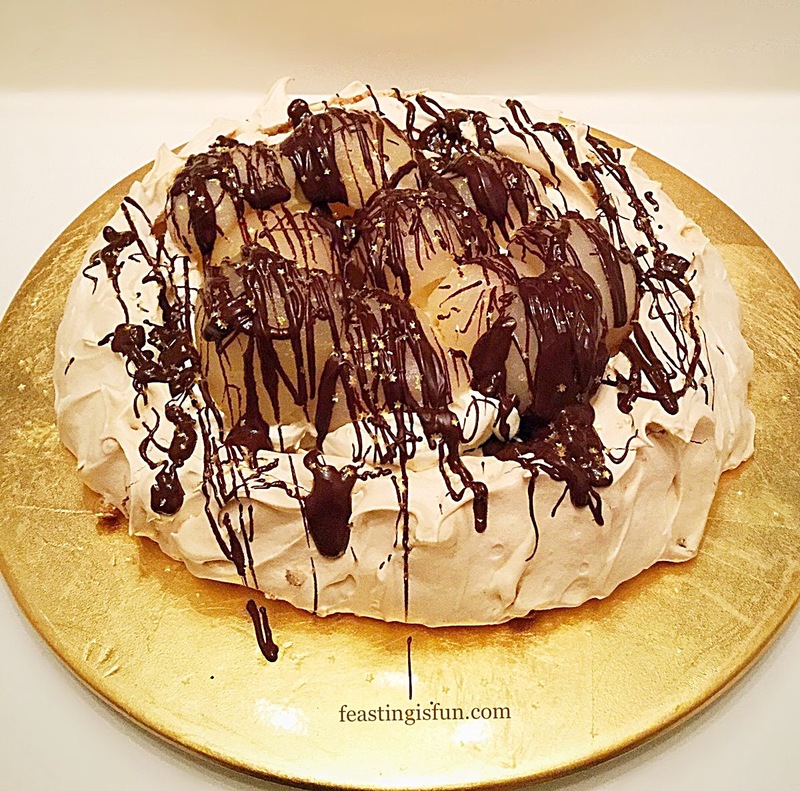 With a crisp outer shell and marshmallow centre Pavlovas are a delicious dessert. Since they can be filled with many different combinations of fruit they are perfect for using seasonal or frozen fruit. 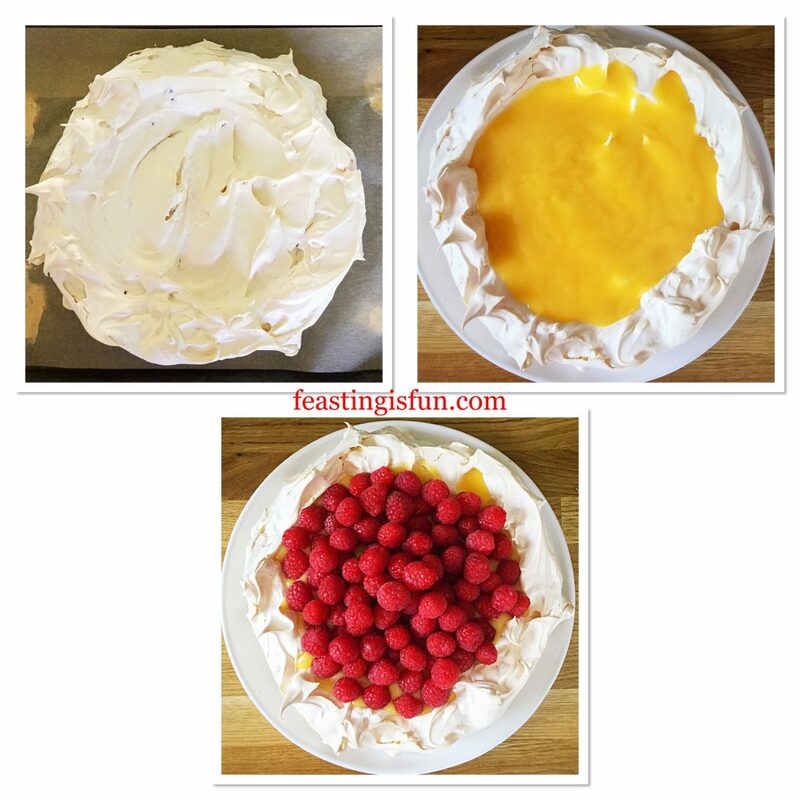 While in this recipe the meringue has a whipped cream filling, see my Raspberry Topped Lemon Curd Pavlova for an alternative filling. 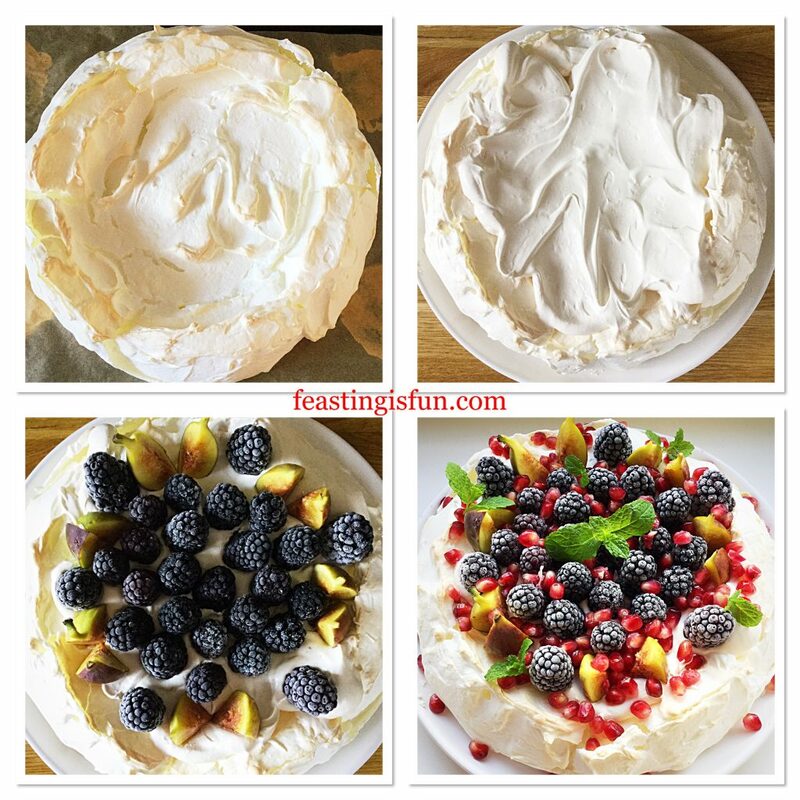 Also all Pavlova recipes here on Feasting is Fun are gluten free (please see individual recipes for recommendations). As a result this dessert is a festive winter feast that more people can enjoy. Whatever you are making, baking and creating in your kitchens have fun preparing your feast. Spring and Summer for me are all about fresh berries. While, there is little that compares to a ripe, sun warmed, freshly picked Strawberry, their shop bought counterparts can be a disappointment. Whereas raspberries, have a more intense flavour that is rarely dulled, even when frozen. 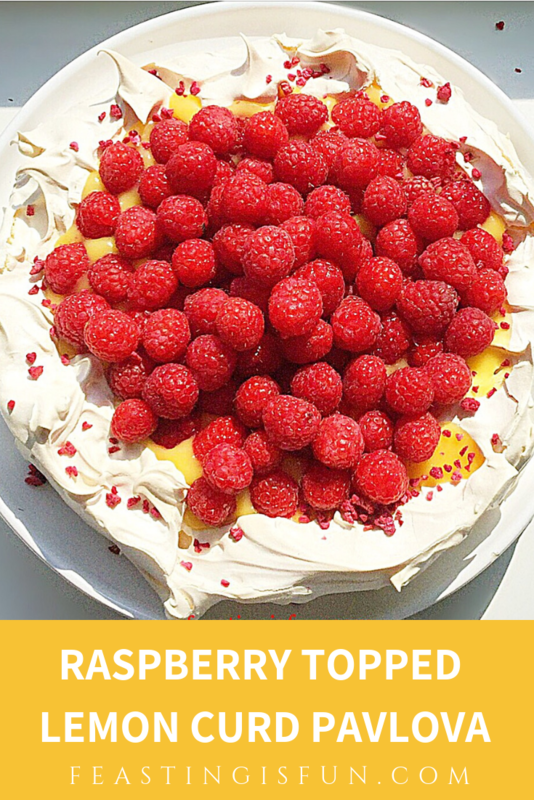 Being both tart and sweet, they add extra fruit intensity to this Raspberry Topped Lemon Curd Pavlova. After receiving some Raspberry Vinegar to try, my immediate thought was to include it in a Pavlova. Since white wine or balsamic vinegar are used in my other Pavlova recipes such as this Raspberry Chocolate Pavlova, it seemed ideal. 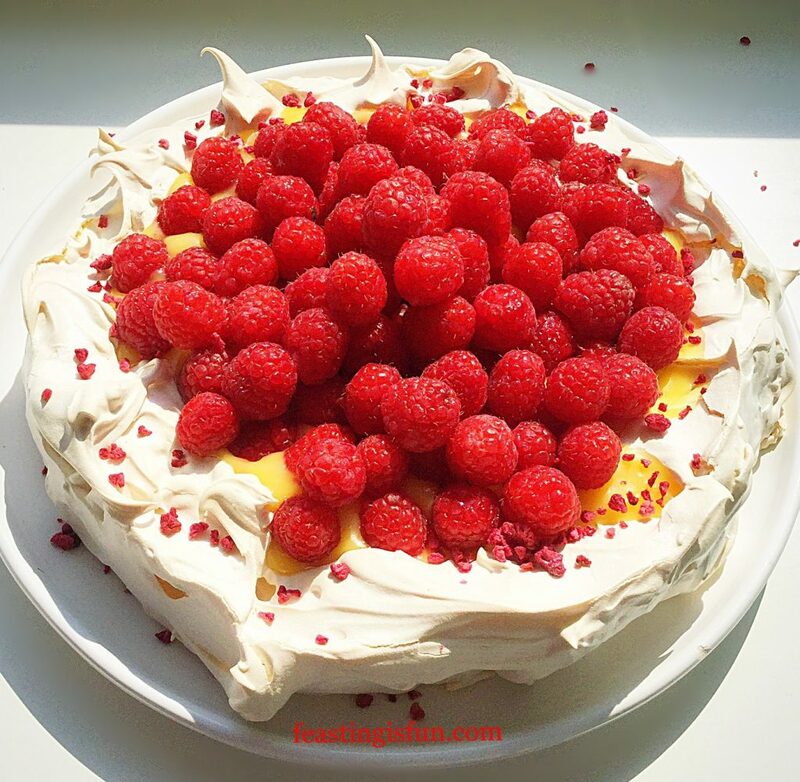 And with the addition of freeze dried raspberries it adds a subtle raspberry flavour to the baked meringue. While also creating the marshmallow inner to this meringue’s crispy, outer shell. Since I personally do not have a very sweet tooth the tart raspberries, along with the golden lemon curd balance perfectly with the Pavlovas sweetness. And as the meringue whites are used for the Pavlova I wanted to come up with a fresh lemon curd recipe that only needed yolks. Following research online I cobbled together half a dozen different recipes and came up with my own. Resulting in a tart lemon curd that just holds it’s shape. I have made this Pavlova four times. Because of the fresh raspberries in the vinegar it colours very quickly if baked at the usual fan oven temperature of 140C. So, you will find in the method that this Pavlova is baked at a much lower temperature than you might normally expect. Since baking at a lower temperature results in a crispy outer and marshmallow inner for this Pavlova, without it browning on the outside. First of all, make sure the mixing bowl is scrupulously clean. I always wipe around the inside with half a cut lemon. Pour the egg whites into the bowl and whisk at high speed until they hold a stiff peak. See the first image below. While the whisk is still running add sugar slowly, one tablespoon at a time. Continue until all the sugar is added. Stop the whisk and rub a little of the meringue mixture between your finger and thumb. It should feel smooth not gritty. Continue whisking until the mixture is smooth and glossy. Line a baking sheet with baking parchment. Draw a 20cm/8in circle on the reverse of the paper. Use small dollops of meringue to stick the parchment to the baking sheet. As soon as the meringue is ready stop the whisk. Add the raspberry vinegar, cornflour and freeze dried raspberries. Fold the ingredients carefully into the meringue using a large metal spoon. Scoop all of the meringue on to the baking sheet. Use a palette knife to create a disc that is slightly higher around the edge than the centre. Making the Pavlova with added raspberry flavour. Place the Pavlova into the lower part of the oven and bake for 10 minutes. Reduce the oven temperature to 120C/100C fan, 250F, gas mark 1/2. Continue to bake for a further 1 hour 50 minutes. Switch the oven off and leave the Pavlova to cool in the oven. While the Pavlova is baking make the lemon curd. 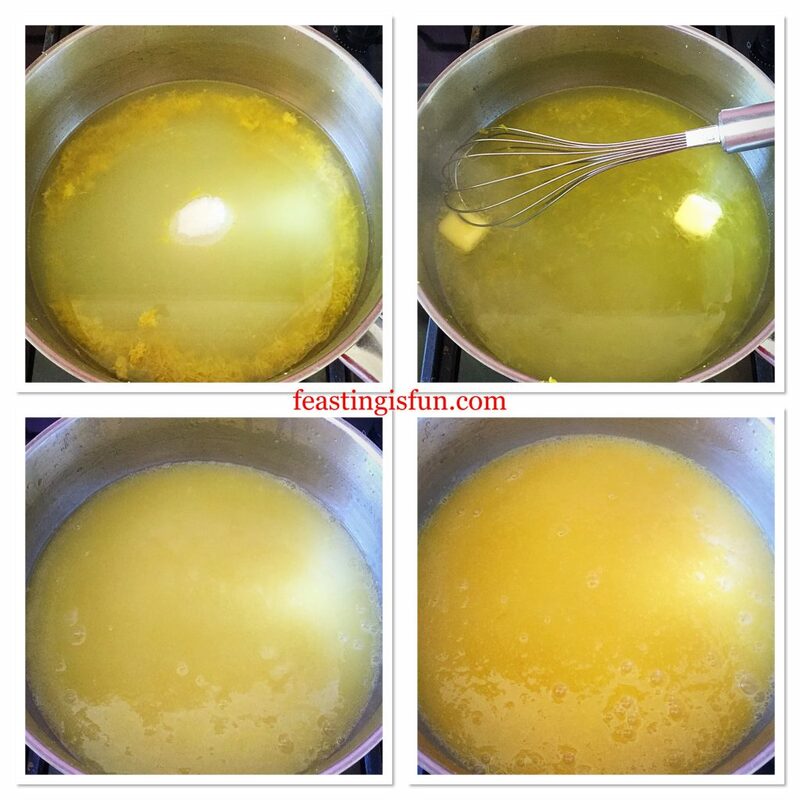 Place the lemon zest, juice and sugar into a heavy bottom saucepan over a medium heat. Stir until the sugar is dissolved. 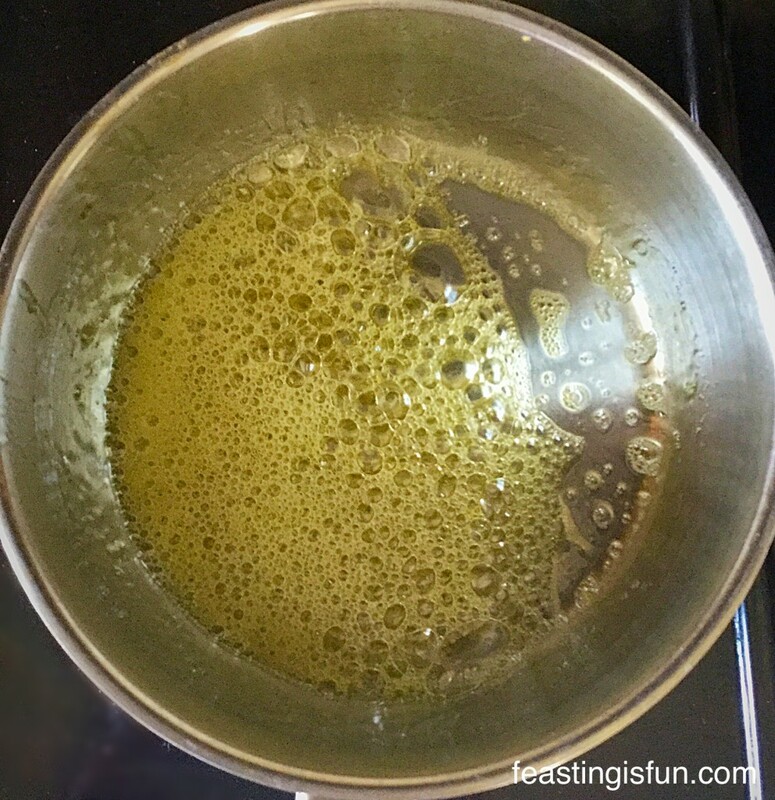 Next add two cubes of butter to the pan, whisking gently until dissolved. Repeat as before until all of the butter has been used. Pour the cornflour slurry into the pan and whisk to incorporate. Cook until the mixture is thickened and starts to bubble gently. Remove the pan from the heat. 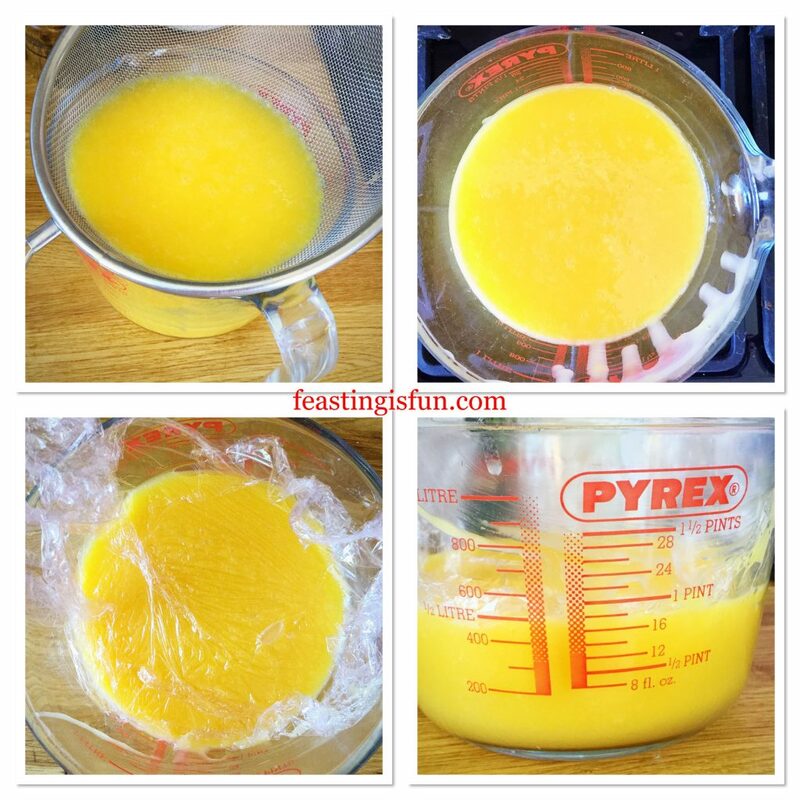 Whisking continuously add one egg yolk at a time. Heat from the pan will cook the yolks. Place a sieve over a jug or bowl and pour the lemon curd through the sieve. Any lumps or remnants of egg white will be removed leaving a velvety, smooth curd. Put cling film direct on top of the curd to stop a skin from forming as it cools. Straining and cooling the Lemon Curd. As soon as the Pavlova is cooled remove from the oven. Do not attempt to assemble the Pavlova until the lemon curd is cold. Pour the cold lemon curd on to the centre of the Pavlova. Not all of the curd may be needed. Pour any excess into a clean jar and store in the fridge for up to two weeks. Place raspberries on top of the lemon curd so that it is covered generously. Assembling the Raspberry Topped Lemon Curd Pavlova. 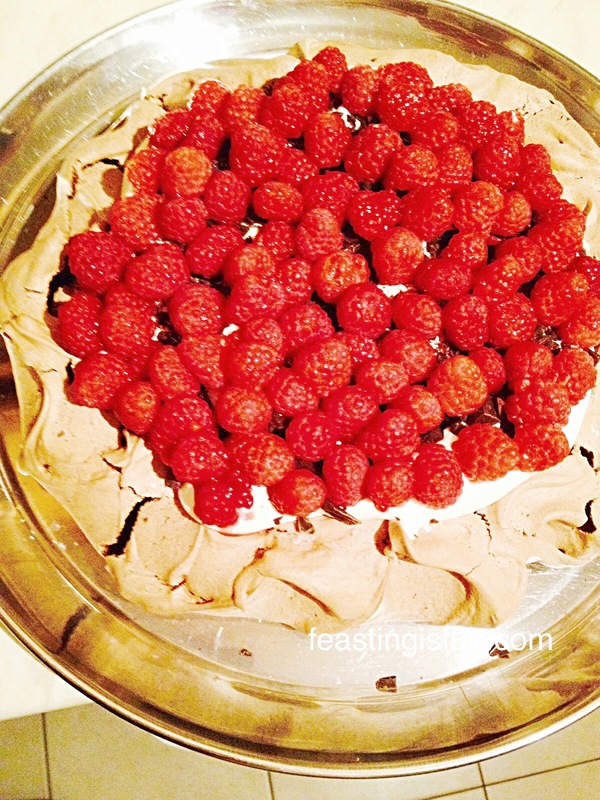 Finally sprinkle freeze dried raspberries around the edge of the Pavlova. Refrigerate the Pavlova for at least 30 minutes prior to serving. 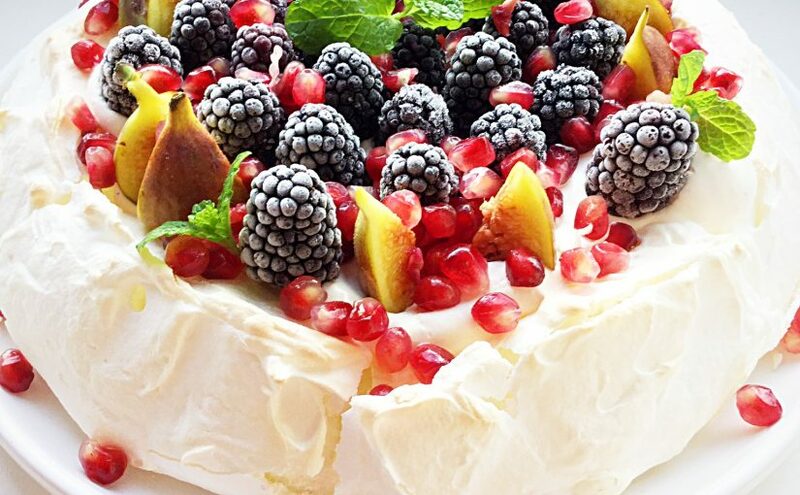 Unusually this Pavlova will sit in the fridge for a day and be perfect to serve. Making this an ideal make ahead dessert. Both Pavlova and lemon curd can be made the day before. Slice to serve with a jug of pouring cream. 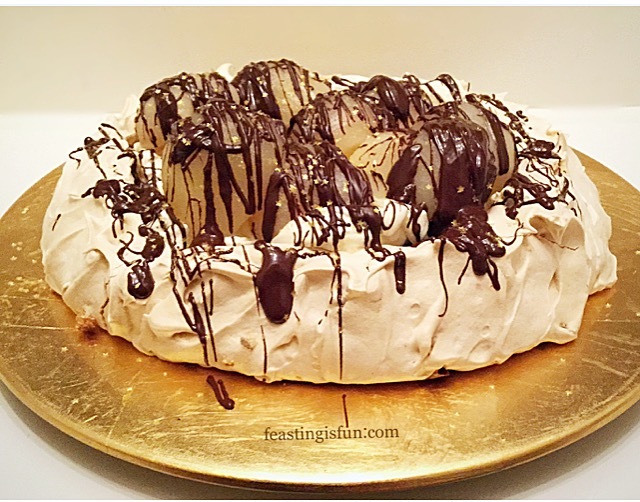 I find that making and baking a Pavlova is easier than it may seem. And, as with anything, practice will improve technique and confidence. 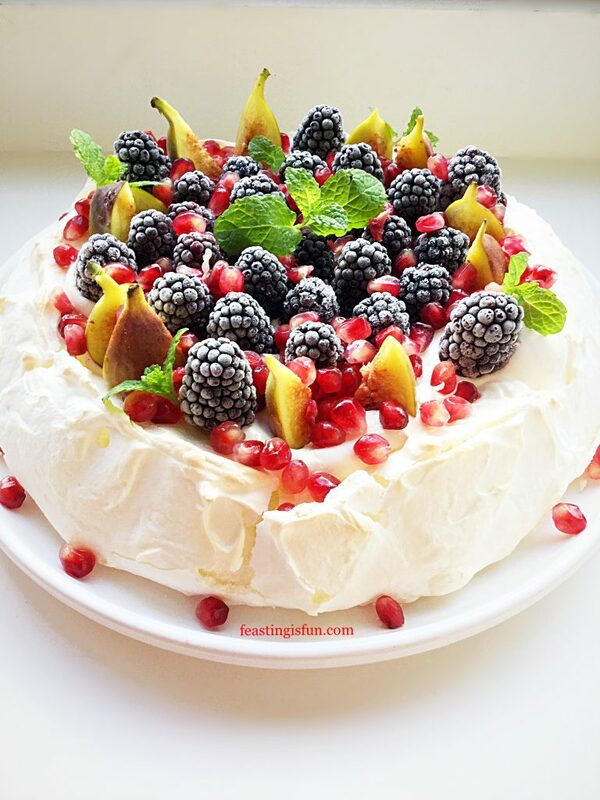 Since Pavlovas are incredibly easy to transport, they make an ideal dessert to take to friends or family. I take all the separate components, baked Pavlova, cream and fruit and then assemble on site. 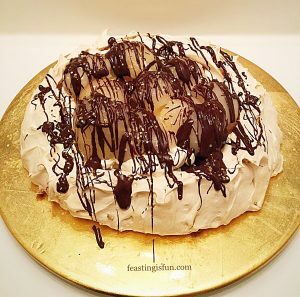 Because Pavlovas have an undeserved reputation for being tricky to make, sharing them with friends simply adds to the wow factor. Additionally this meringue is completely gluten free, enabling more people to enjoy this dessert. So, whatever you are making, baking and creating in your kitchens, have fun preparing and sharing your feast. Sometimes ideas that seem to come out of nowhere, using simple, on hand ingredients, are the very best. 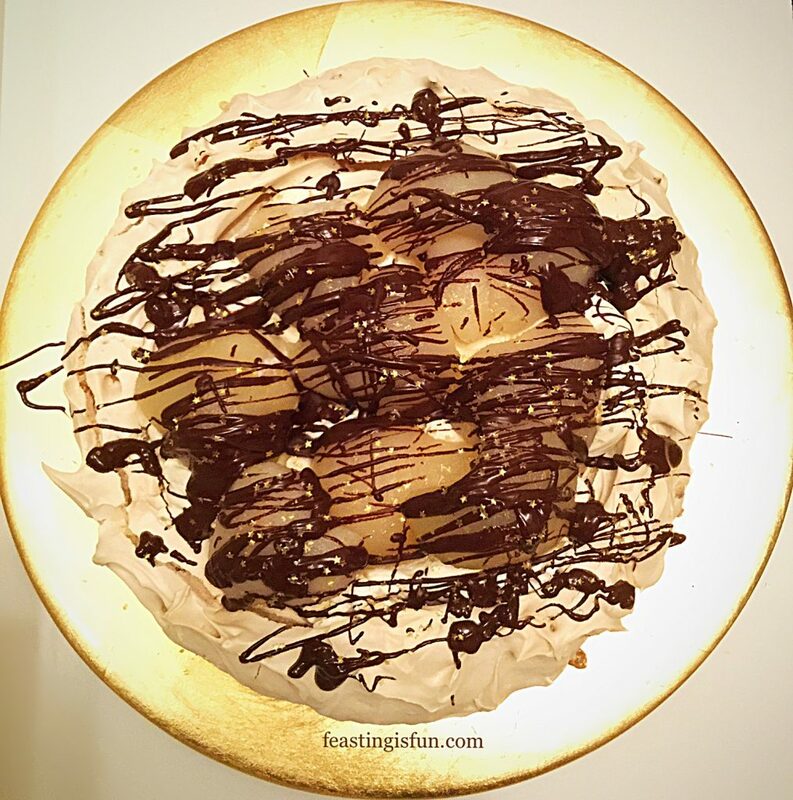 And that’s exactly how this Dark Chocolate Drizzle Pear Ginger Pavlova came about. Having egg whites left over, I decided to make a meringue and throw in some chopped stem ginger. Since I knew I had some tinned pear halves in the cupboard they became the topping. Also adding whipped cream, a dark chocolate drizzle and you have an elegant dessert that looks as sensational as it tastes. 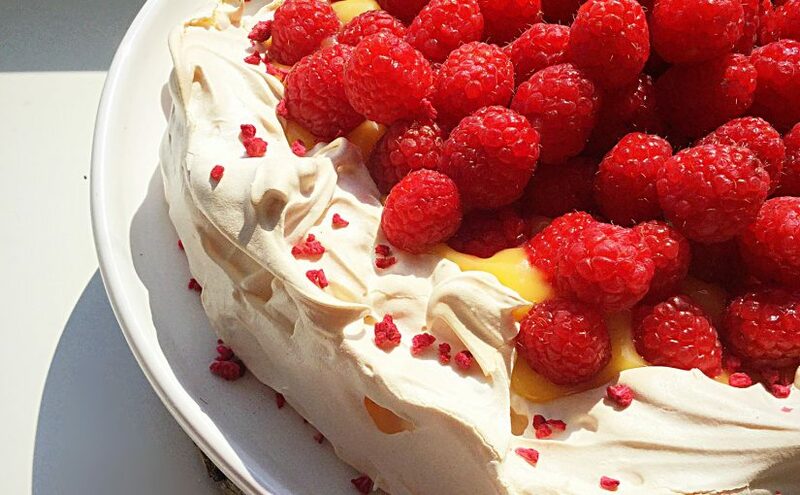 Using leftover egg whites to make Pavlova is a really great way to create something incredible. Since they whip up to a much greater volume when not fridge cold, I leave them out on the worktop the night before I need them. While it may seem strange to add white wine vinegar to meringue, it’s use results in a marshmallow, chewy inner. Resulting in a great texture contrast with the crisp outer shell. 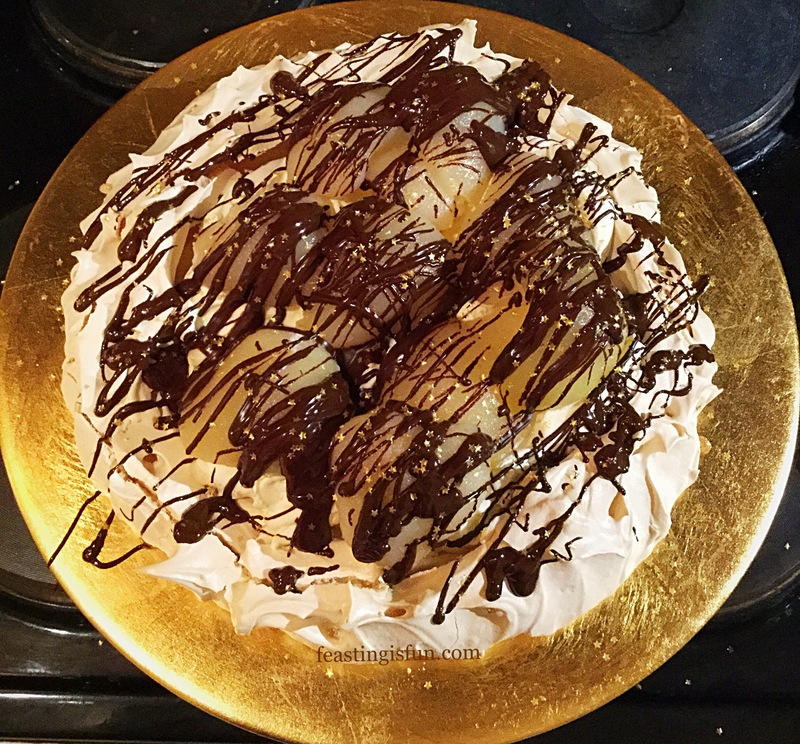 Dark Chocolate Drizzle Pear Ginger Pavlova a celebration centrepiece. Baking low and slow, dries the outer Pavlova shell, whilst protecting that cloud like inner. While the chopped stem ginger provides hits of warmth in every mouthful. Cool, flavoured whipped cream is the perfect topping for any Pavlova. And soft, yielding pears, drizzled in deep, dark chocolate complete the flavour profile of this dessert. Glittering, sparkly and beautiful, this dessert is perfect to serve at the end of an elegant dinner party. Also, with Christmas, Thanksgiving and the holiday season coming up, not only do the flavours reflect the colder months of the year, it’s a simple dessert to pull together. Because, aside from the initial whipping of the meringue, you need do nothing while this beauty bakes away in the oven. And it’s really an assembly job, with a little whipping and a ping in the microwave, you have an outstanding dessert to share and wow your guests with. You will need a large baking tray lined with baking parchment. Draw a 22.5cm/9″ circle, in pencil, on to the baking parchment. Flip the baking parchment over. As soon as the meringue is made stick it down with a little of it. Also an electric whisk, either hand held or using a stand mixer, will make the whole process much easier. First of all, take the bowl in which the eggs will be whisked and rub the inside liberally with the lemon half. Now add the egg whites to the bowl. Whisk on a high speed until the whites are light and voluminous. Add the caster sugar one tablespoon at a time, continually whisking on a medium/high speed. Whisk for 2-3 minutes between each addition. As soon as half of the sugar is added, up the amount to 2 tablespoons each time. Continue whisking until all of the sugar is added and has a glossy sheen. Stop the whisk and rub a little of the meringue between your forefinger and thumb. If it feels gritty whisk for another couple of minutes. When the meringue is silky and smooth add the cornflour, white wine vinegar and chopped stem ginger. Using a large spoon fold the ingredients into the meringue, taking care to knock out as little of the whipped in air as possible. Spoon the meringue on to the baking parchment. Creating the ginger meringue base. 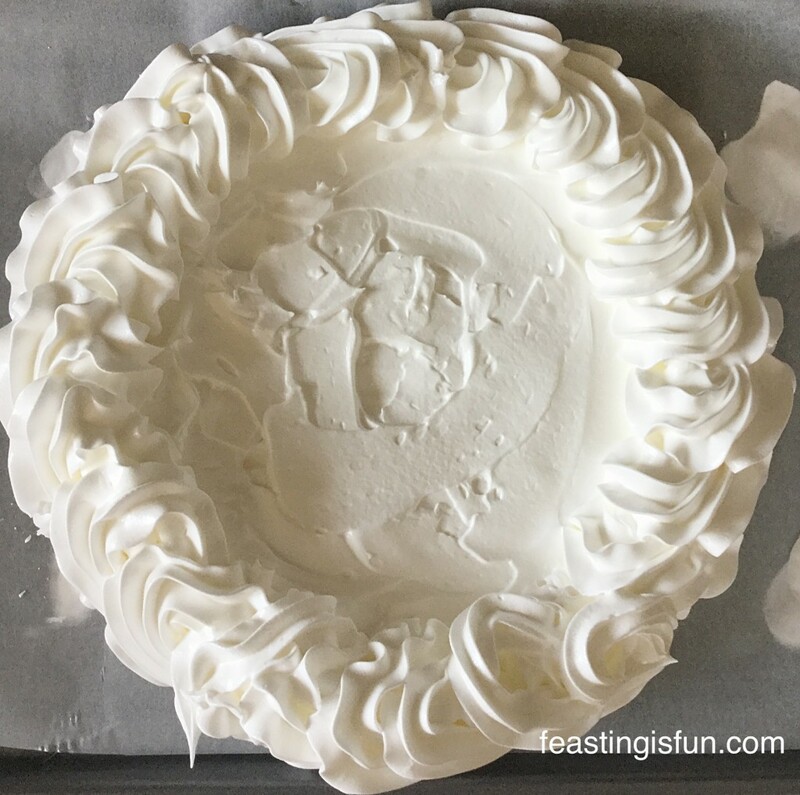 Using a palette knife spread the meringue out to fill the circle template. Slightly build up the sides of the pavlova. Place the pavlova into the centre of a preheated oven and immediately turn the heat down to 140C/120C fan, 275F, gas mark 1. Bake for 2 and 1/2 hours. After the baking time has elapsed turn the oven off and allow the meringue to cool slowly, as the oven cools. Making and baking the Pavlova. When the meringue has completely cooled it can be filled and decorated. Drain the pears from the juice and leave in a bowl to slightly dry out. Chop up the dark chocolate, place in a heatproof, microwaveable bowl and heat on medium power for 30 seconds at a time. Stir the chocolate after each heating burst. As soon as it starts to melt remove from the microwave and continue stirring until it is fully melted. Set to one side to cool slightly. Pour the chilled cream into a clean large bowl. Add the sugar, ground ginger and vanilla bean paste. Whisk the cream until it is thickened, stopping when it is still smooth and floppy. 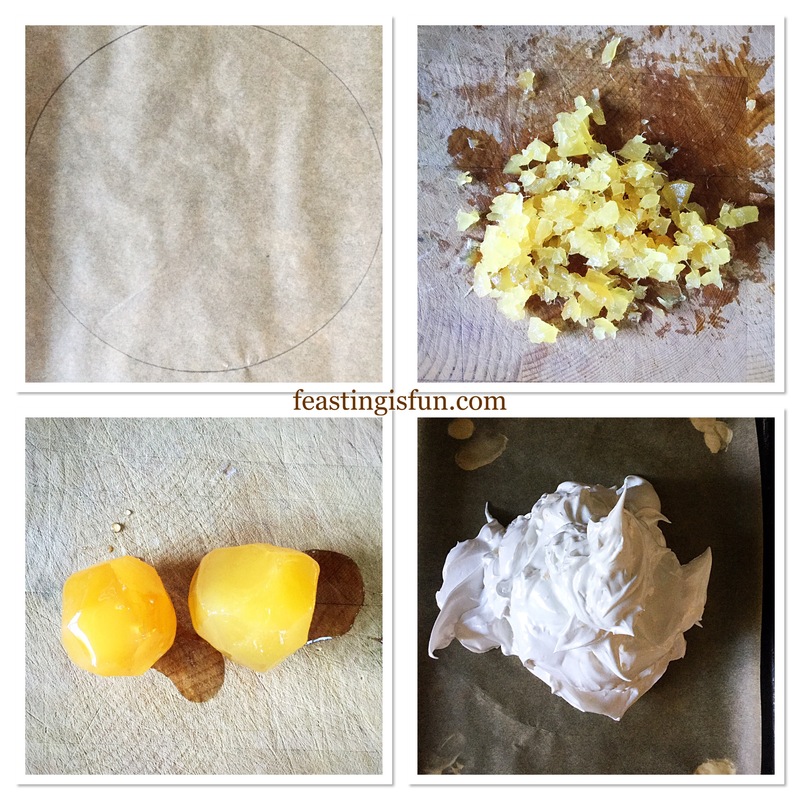 Remove the meringue from the parchment paper and place on to a plate. Spoon the whipped cream on to the centre of the pavlova, inside the raised rim. Drizzle two tablespoons of ginger syrup over the whipped cream. Arrange the pear halves on top of the whipped cream. 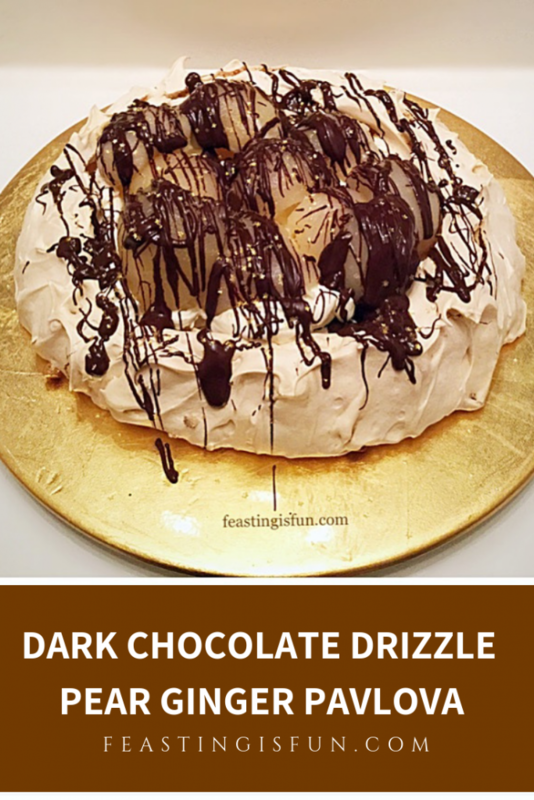 Finally, drizzle dark chocolate over the entire pavlova. Finish with a sprinkle of edible gold stars, or alternatively a dusting of edible glitter. 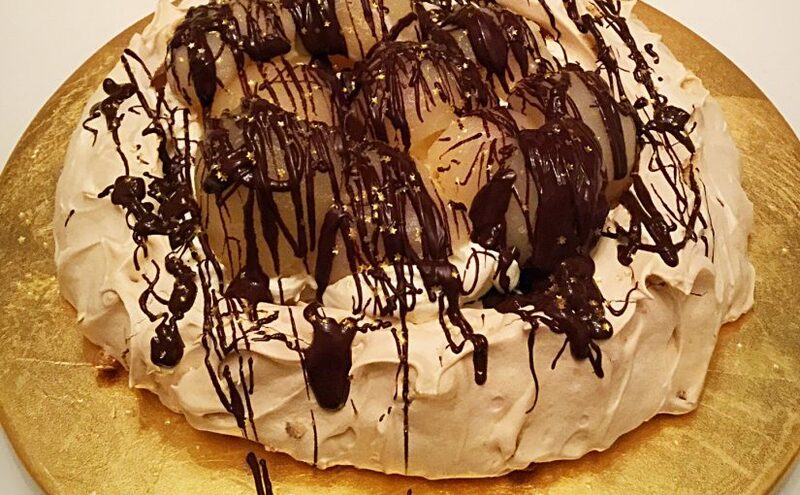 Dark Chocolate Drizzle Pear Ginger Pavlova finished with edible gold stars. Beautiful, delicious and elegant. And most of all this dessert sparkles! Most importantly, assemble at the last possible moment. 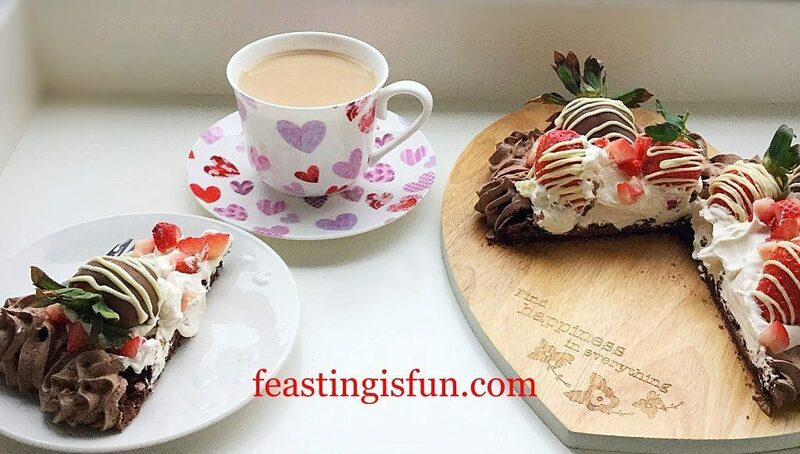 While the meringue can be made earlier in the day or even the night before, whipping cream, melting chocolate and assembly should, at the earliest, take place just prior to serving dinner. Also, any remaining Pavlova should be covered with cling film and eaten within 24 hours. Since all food tastes better when shared, why not wrap up any leftovers and send them home with your guests? 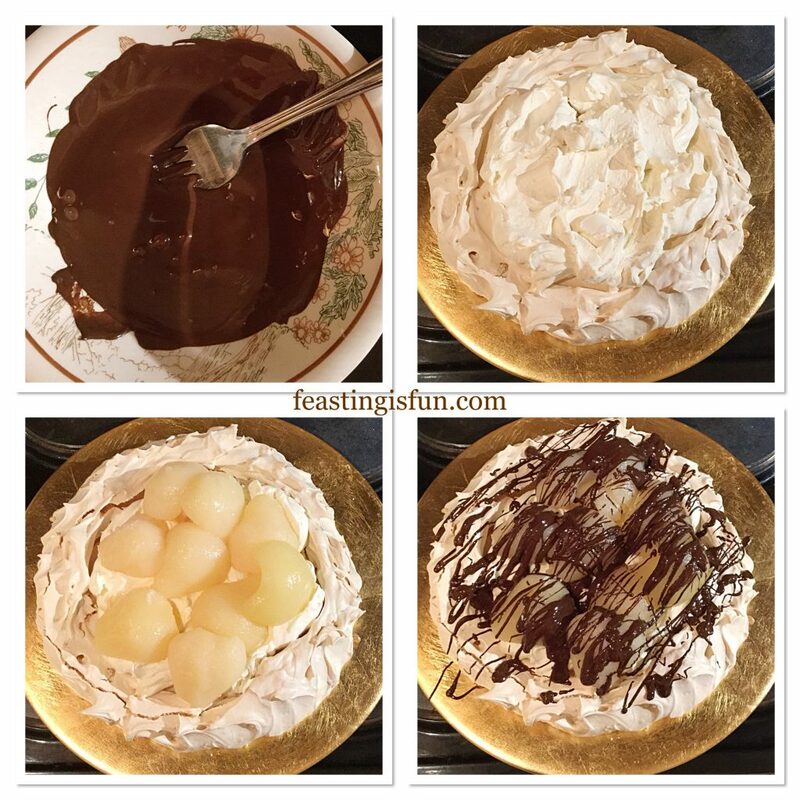 Because Christmas is a time for giving, getting together and sharing, why not make and take this meringue to a family gathering, or dinner party. Almost everything can be prepared beforehand. And here are some shortcuts, use thickened cream and bought chocolate sauce. Who’s going to tell? Certainly not me. While this dessert is simplicity itself, a few added cheats are always helpful during a busy time of year. Finally it is the people with whom you share this dessert, that ultimately make it a feast. So whatever you are making, baking and creating in your kitchens, have fun preparing your feast. 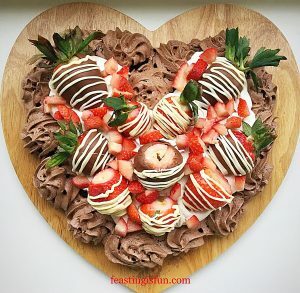 Strawberry Topped Chocolate Heart Pavlova a delicious crisp outer shell, with a deep, brownie-like inner, topped with whipped cream and chocolate dipped strawberries. Ultimately, this is the perfect dessert to share with those you love. And did I mention that it’s also Gluten Free! I adore pavlova. Both making and eating it! 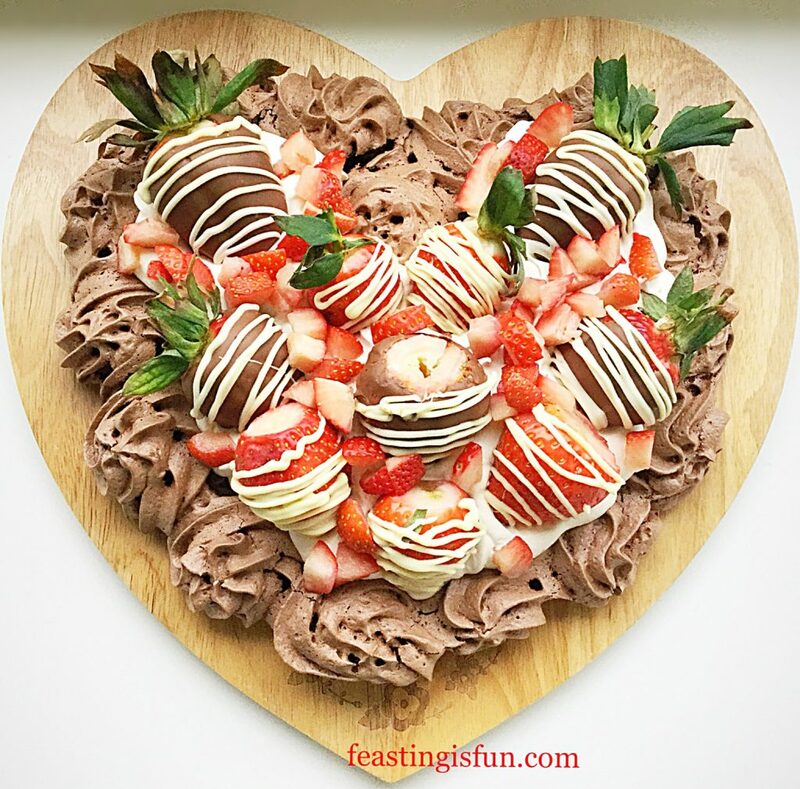 Because this chocolate heart pavlova is as pretty as it is easy to make. 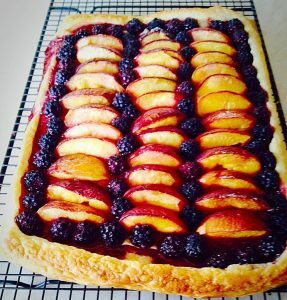 Simply follow the recipe and instructions and you too can bake this beautiful dessert. 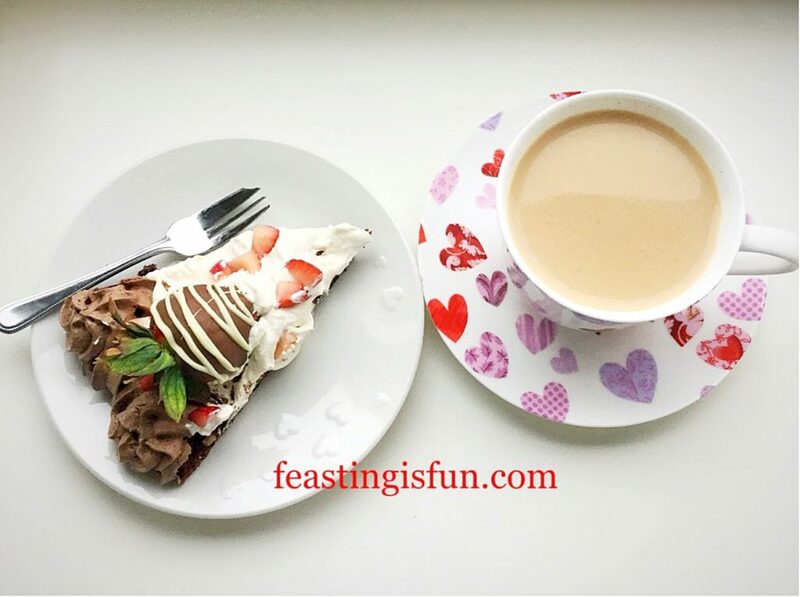 A slice of Pavlova with a cup of tea. Last week we celebrated Valentine’s Day. And I wanted to create something that would be perfect to share with those I love. 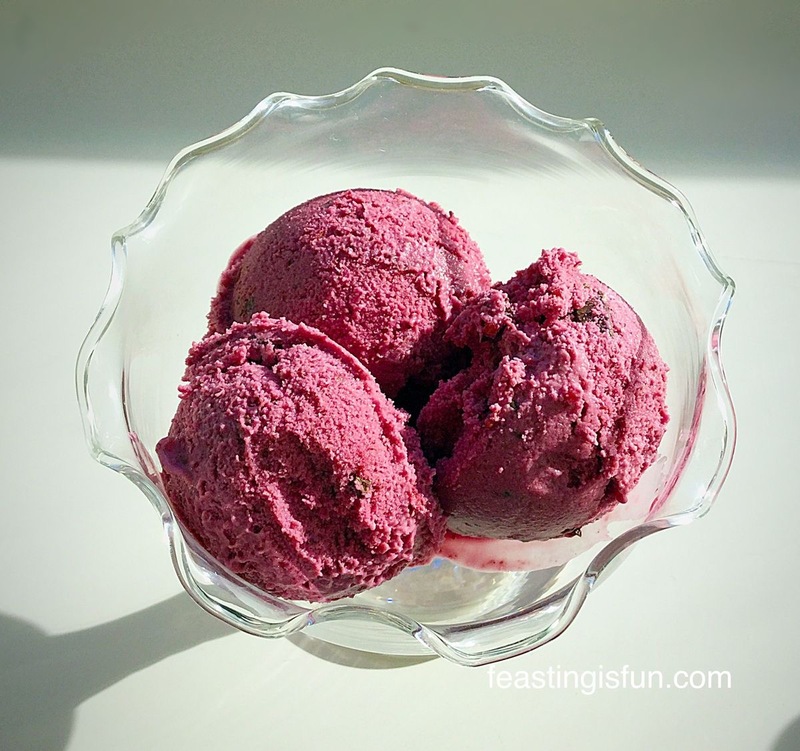 Although, every recipe posted on Feasting is Fun, is designed to be shared. Since, hearts, strawberries, chocolates and flowers are all associated with February 14th, I wanted to incorporate as many of these as possible. Resulting in a beautiful and tasty dessert that should not be confined to one day of the year, in my opinion. 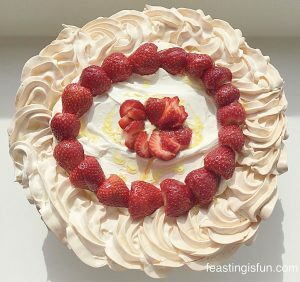 For this pavlova I piped the meringue heart and added swirls around the outside, defining the heart shape. And if I can make this pavlova, then so can you. While it is not difficult to do it creates a pretty finish. 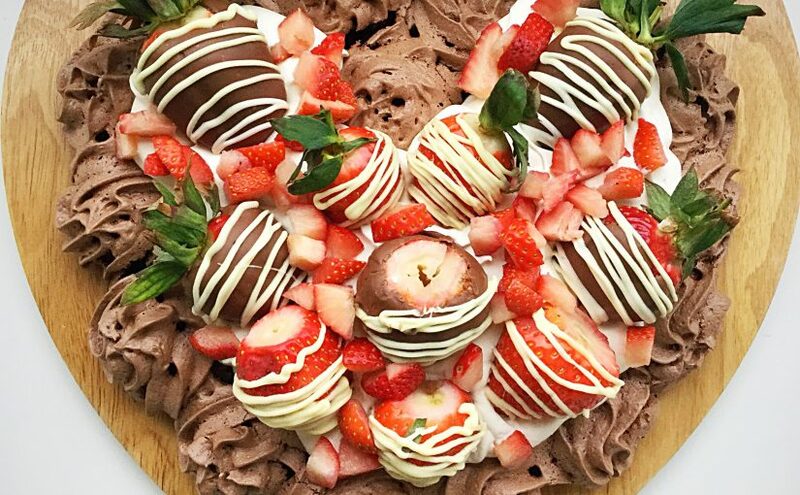 Also, this heart pavlova contains only cocoa, not chunks of chocolate, making it possible to pipe. Resulting in meringue mixture that resembles a light, airy mousse. And once baked it keeps it’s shape perfectly. Yum! 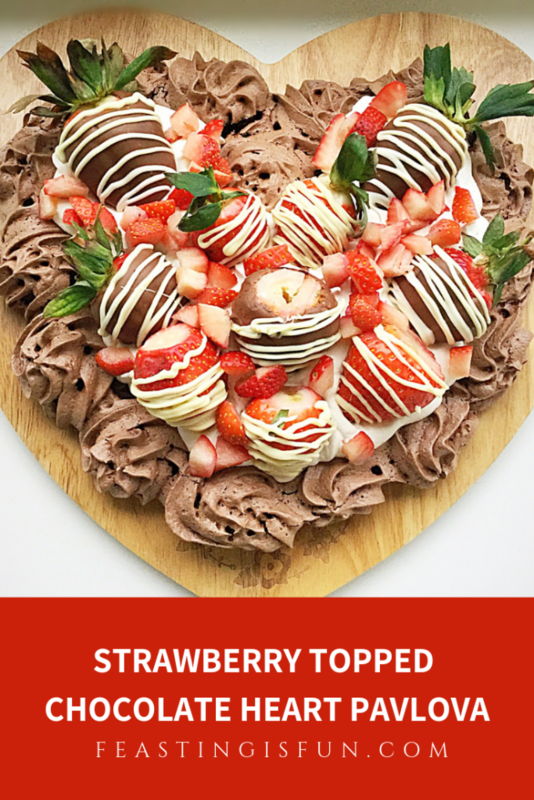 Strawberry Topped Chocolate Heart Pavlova each layer distinct. I adore the way that whipped double cream tops the chocolate pavlova, rather like a down duvet covers a bed. Since it moulds and fills the pavlova’s contours. While creating a soft, velvety contrast to the crisp and fudgey pavlova. Finally, chocolate dipped strawberries add a touch of decadence, crowning this dessert with their contrasting colours. 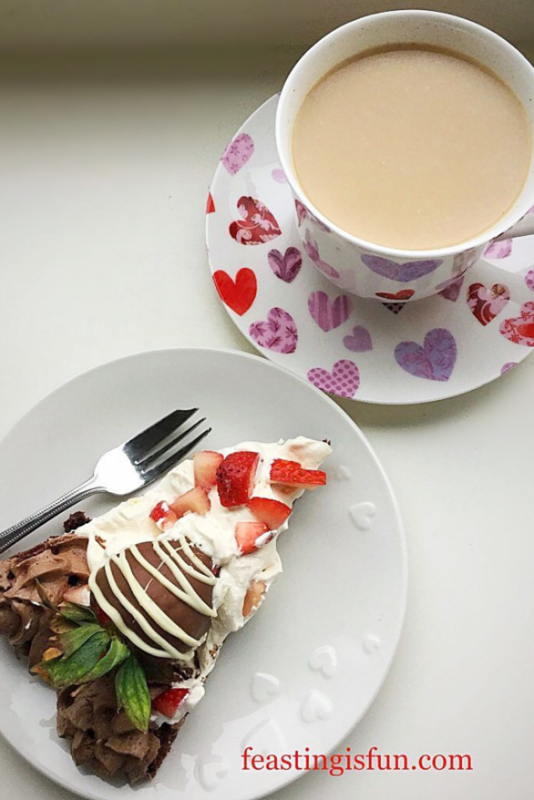 A slice of pavlova served on heart embellished china. One mouthful of this delightful, gluten free dessert and your tastebuds are lost to the complimenting flavours and contrasting textures. 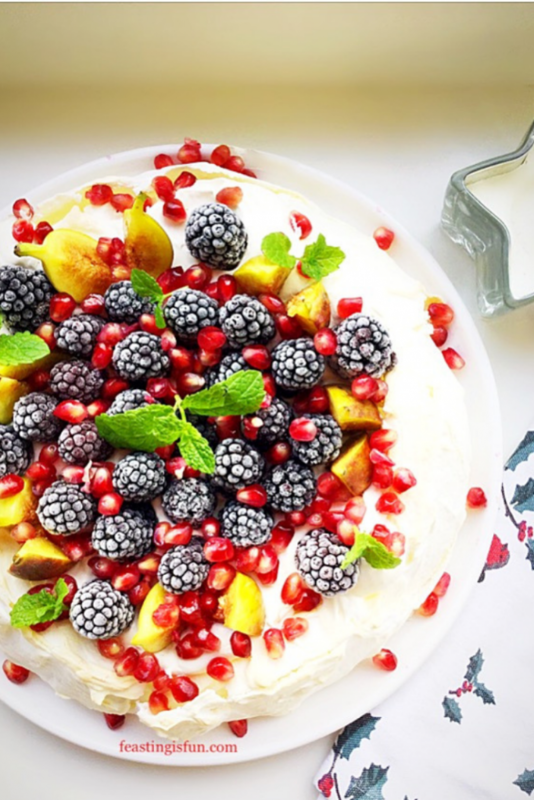 And one serving provides plenty of time to fully appreciate this beautiful pavlova. Although I promise not to tell if you go back for seconds! Method: Preheat the oven to 200/180C fan, gas mark 6, 400F. Prior to starting this recipe ensure the bowl used to mix the meringue is scrupulously clean. Wipe around the inside of the bowl with half a lemon to ensure no fat is present. Because the presence of fat, or oil will stop the egg whites from whipping up and incorporating air. Also line a large baking tray with baking parchment. Draw a large heart on the reverse of the parchment with pencil, approximately 25cm wide by 27.5cm high, 10″w x 11″h. First of all, pour the egg whites into the large clean, prepared bowl. Whisk until the egg whites hold a stiff peak. Continue whisking on high, adding the sugar one tablespoon at a time until it is all incorporated. The meringue should be white and glossy, holding a stiff peak. Rub a little of the meringue between your finger and thumb, it should feel smooth. If at all gritty, continue whisking, as not all of the sugar is dissolved into the egg white. Continue until the mixture is smooth. While the egg whites are whisking fit a large piping ba with a large, open star nozzle, I use Wilton #1M. Once the meringue has been whisked sift in the corn flour and cocoa. Then add the balsamic vinegar. Using a large, clean, metal spoon fold all of the ingredients together carefully. Taking care not to knock out the air that has been whisked into the egg whites. Place four dots of meringue in the corners of the baking tray, then place the baking parchment on top. This will hold the baking parchment in place. 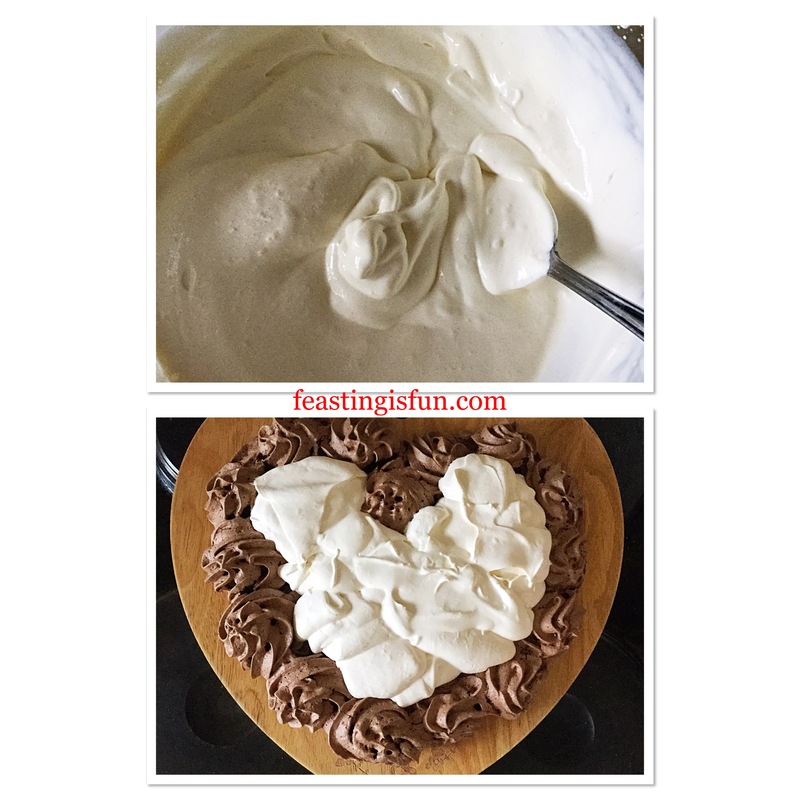 Place a large spoonful of chocolate meringue into the centre of the heart. Spread the meringue with a palette knife, so that it fills the heart outline. There is no need to be too precise as it will be piped over. Fill the piping bag with the remaining chocolate meringue. Pipe swirls around the outline of the heart, leaving the bottom point and the top dip until last. Pipe a swirl at the bottom of the heart and then the top dip. Next pipe stars, inside the heart, on the base. Making and creating the chocolate heart pavlova. Place the pavlova into the centre of the oven and immediately reduce the heat to 160C/140C gas mark 3, 325F. Do not open the oven door whilst baking! Bake for 1 hour exactly. After the baking time has elapsed turn the oven off and open the oven door a fraction, so that the pavlova cools slowly. I place a wooden spoon between the door and the oven. While the pavlova is cooling the prepare the chocolate strawberries. Into separate, small heatproof, microwaveable bowls, break up and add the milk and white chocolate, separately. Zap for 20 seconds at a time in the microwave, stirring in between, until the chocolate has melted. Spoon the melted white chocolate into a small piping bag. Preparing and decorating the strawberries. Select 10 of the biggest strawberries and leave their tops on. Dip 5 of the large strawberries into the milk chocolate, using a teaspoons to help fully cover them. Place the dipped strawberries on to some baking parchment. 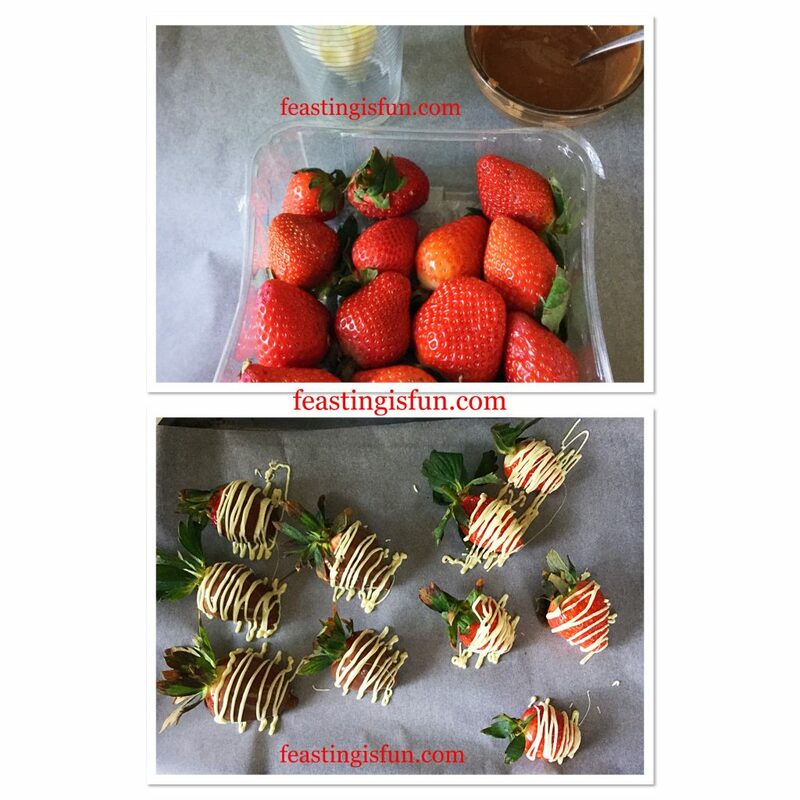 Also keeping the strawberries refrigerated helps the chocolate set quickly, especially during warm weather. Next pipe lines across the 5 chocolate covered strawberries and also the 5 un-dipped ones, this gluten free recipe also uses chocolate strawberries. Leave to set on the baking parchment. In warm weather place in the fridge for a couple of minutes. As soon as the pavlova is completely cooled remove from the oven. Pour the cream into a bowl and whisk until it has thickened but is not stiff. Gently run a palette knife under the pavlova to loosen it from the baking parchment. Place the pavlova on to a flat plate, or stand from which it is to be served. Spoon the cream inside the shell of the pavlova. Preparing the cream and filling the pavlova. Arrange the chocolate dipped strawberries on the top of the cream, removing the tops if necessary. I chopped the remaining strawberries into fairly small pieces and sprinkled them around the whole strawberries. Finally all that is needed is someone to share this stunning dessert with. Because all food tastes better when shared! 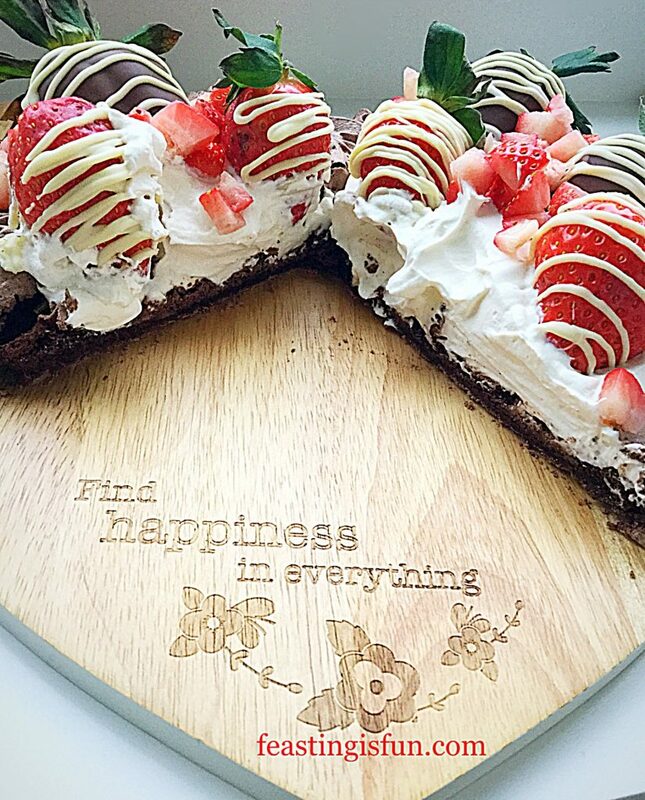 Serve sliced, ensuring each portion has a chocolate strawberry. 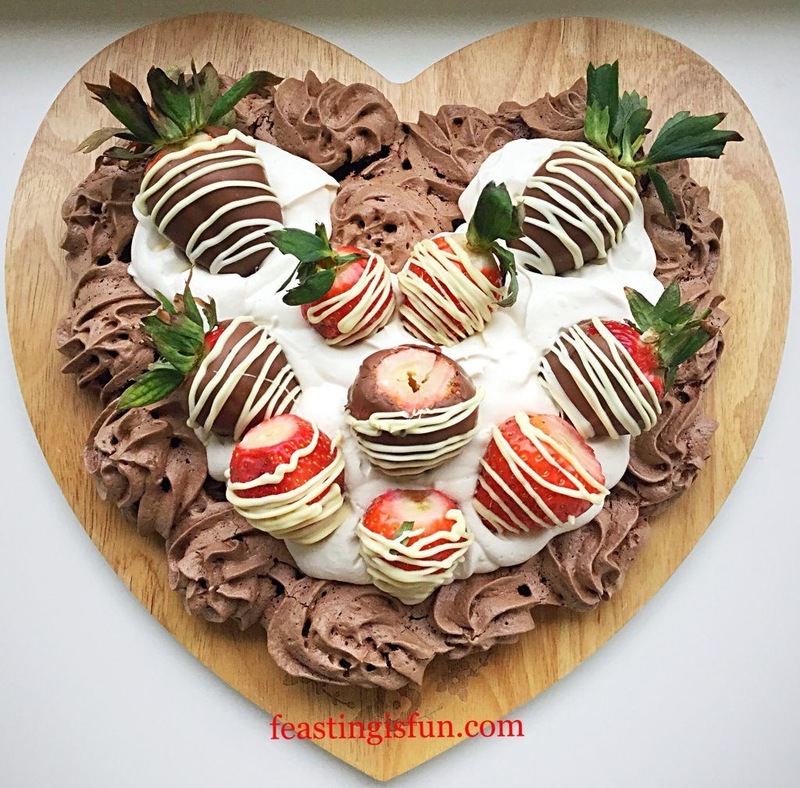 This Strawberry Topped Chocolate Heart Pavlova is at its best eaten on the day assembled. 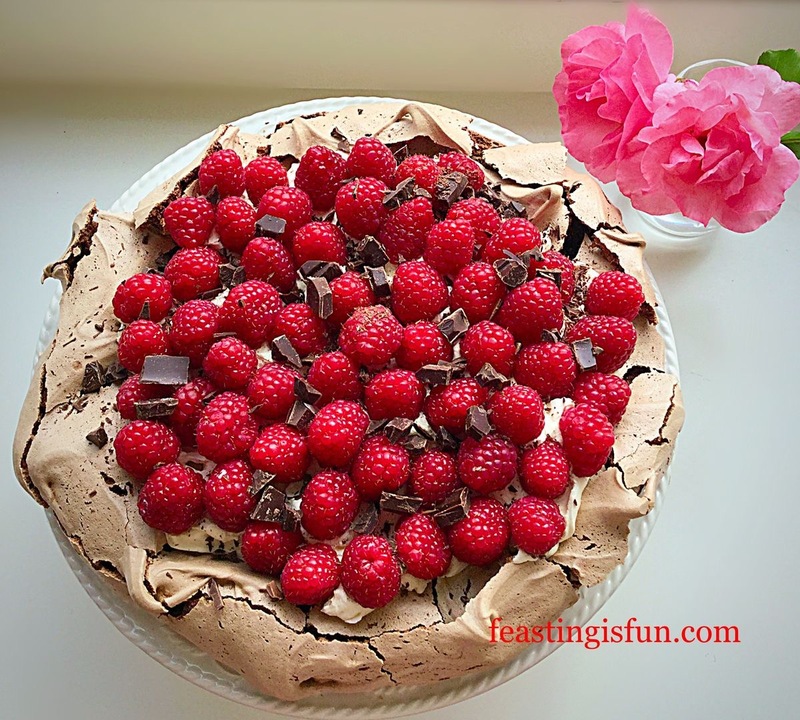 Although the pavlova can be made the day before and left to cool, overnight in the oven. Also the strawberries can be prepared 4 hours ahead and left in a cool place or placed in the fridge. Likewise the cream can be prepared at the same time as the strawberries and left in the fridge, it may need a quick whisk to bring it back to the consistency required. The Pavlova will last, covered in foil, in the fridge for 2 days after assembly. 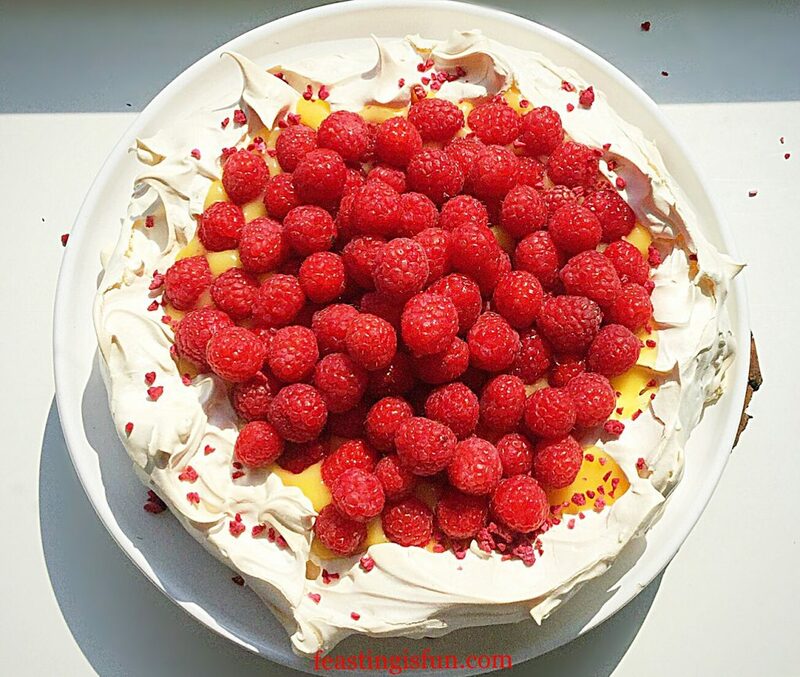 Importantly, all of my pavlova recipes on this blog are gluten free. Which makes them a suitable dessert for more people. Always ensure that the corn flour used in each recipe is certified gluten free. Since it is in my nature to be as inclusive as possible, serving a naturally gluten free dessert to friends and family ensures that everyone feels special. Likewise, no one can feel that they have been ‘too much bother’ due to any dietary limitations they may have. Resulting in a relaxed, enjoyable meal and atmosphere. So whatever you are making, baking and creating in your kitchens, have fun preparing and sharing your feast. 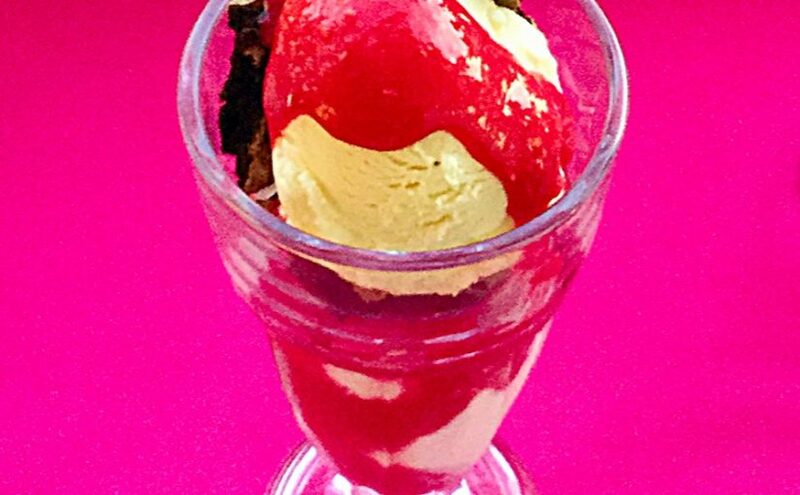 Every time I look at the colour of this Raspberry Chocolate Ice Cream Sundae it makes me smile. Raspberry Chocolate Ice Cream Sundae this dessert is big time wow! The colours are bright, summery, vibrant and let’s face it beautiful! Just wait until you taste this! 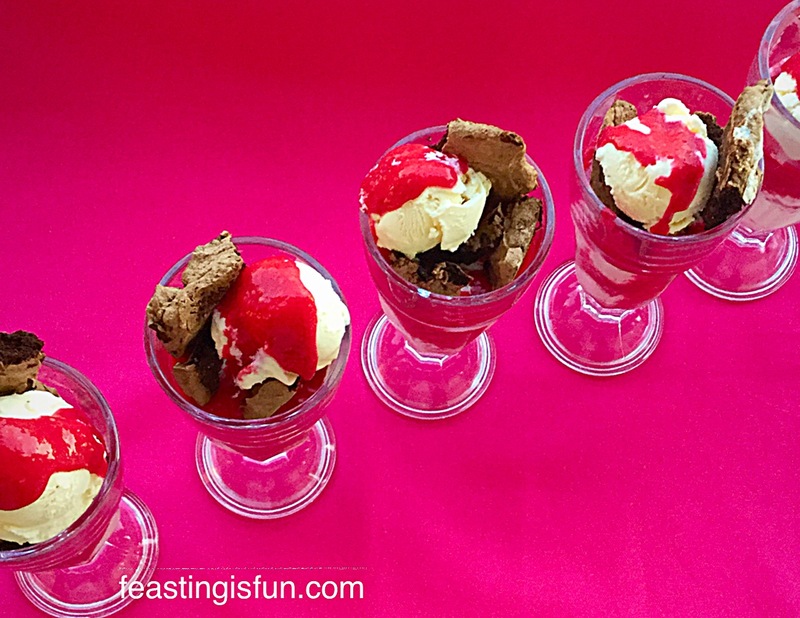 Raspberry Chocolate Ice Cream Sundae this is a party in a glass! Ok, let’s clear one important matter up – this Raspberry Chocolate Ice Cream Sundae does NOT have to only be eaten on Sunday’s! I know, I can feel your relief 😉. 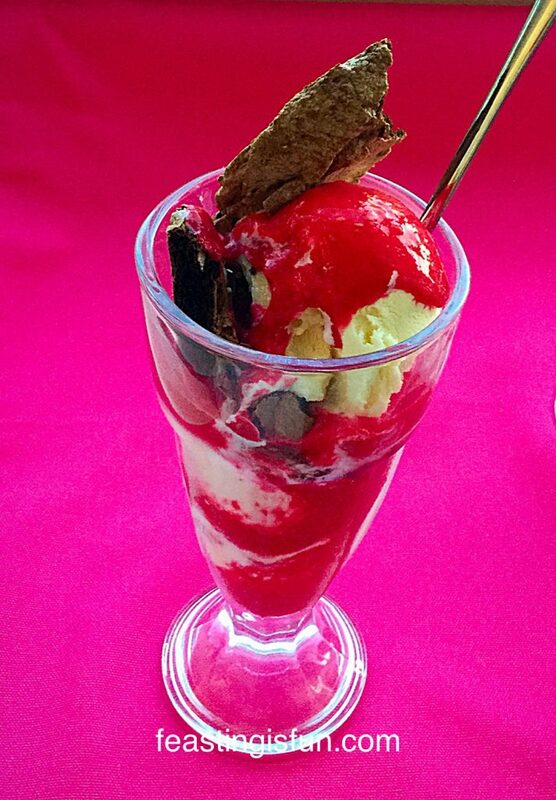 Great vanilla ice cream, draped in tart raspberry coulis and delicious, soft, chocolate meringue all layered in a tall sundae glass. An incredible flavour combination where every ingredient is distinct, yet each works in total harmony as a whole. Raspberry Chocolate Ice Cream Sundae as delicious as it is beautiful. You are so going to love this recipe. Apart from making the deeply chocolate meringues, there is no other baking involved! As much as I love baking, I really, really do – sometimes it’s nice to pull together a fabulous dessert where very little effort. 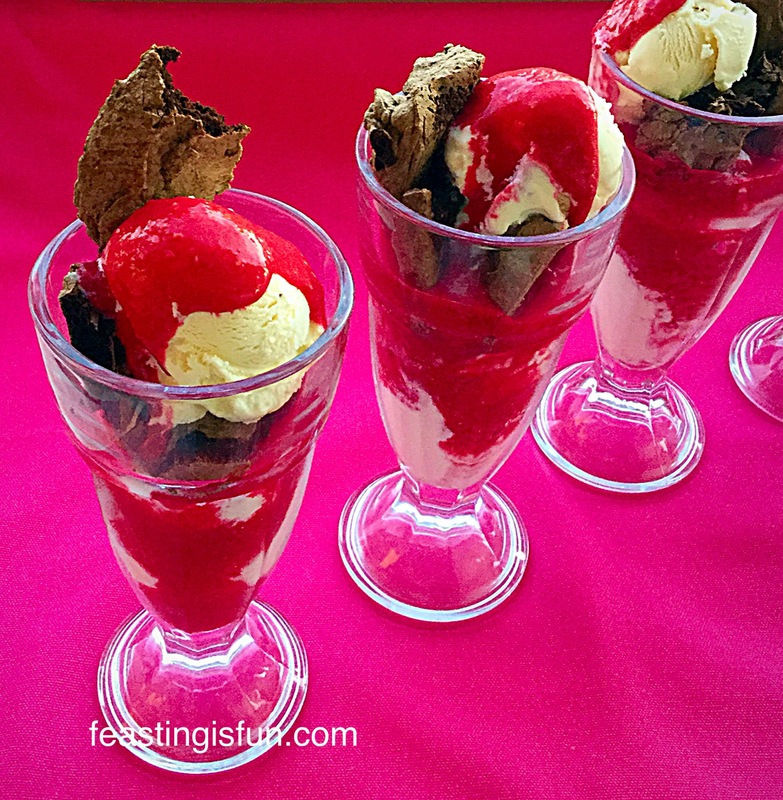 In fact this Raspberry Chocolate Ice Cream Sundae came about by accident. Having baked the chocolate meringues I was hoping to make an Eton Mess type dessert. The cream, which was well within it’s use-by-date had gone off, the strawberries were past their best. The whole Eton Mess thing just wasn’t happening – don’t worry it will be made! Instead I improvised. Typically, when I wing it the result is either amazing or revolting! Fortunately the combination of flavours in this incredible dessert totally, utterly and completely worked. I mean really, really, really worked! Raspberry Chocolate Ice Cream Sundae share this with everyone. Don’t you just love it when things turn out better than you could of ever hoped? In a large bowl add the 3 egg whites and whisk until they can hold a stiff peak. Continue whisking and addding in the caster sugar one tablespoon at a time. Keep mixing until the egg whites are glossy and the caster sugar has been incorporated. 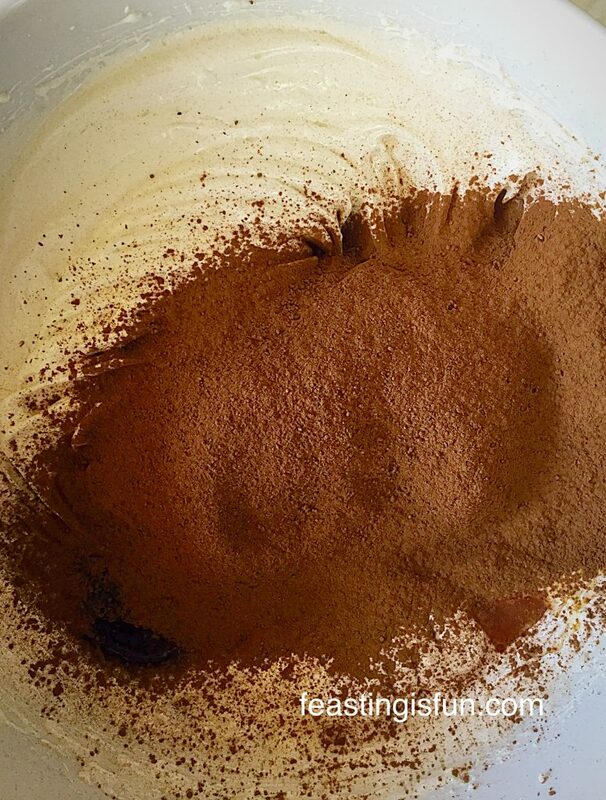 Add the vanilla extract, vinegar, corn flour and sift in the cocoa powder. These meringues are intensely dark and chocolatey. Gently fold the ingredients into the meringue. Dollop 6 clouds of chocolate meringue onto the baking sheet. 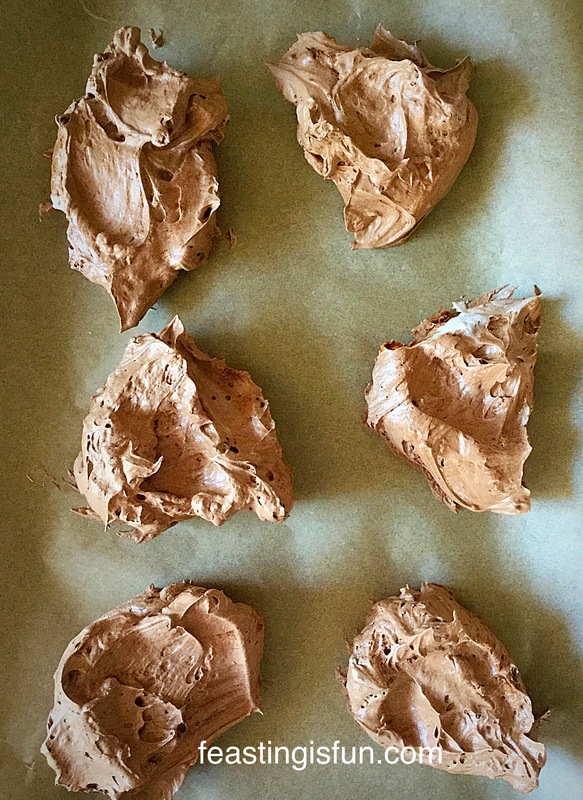 Chocolate Meringue Clouds ready for the oven. 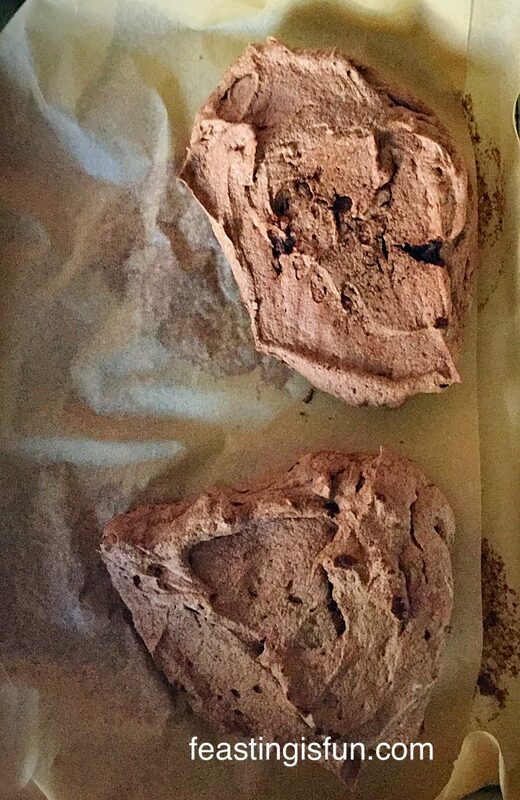 Place the chocolate meringues into the oven an immediately turn the oven temperature down to 140C/120C fan, gas mark 1. Bake the meringues for 40 minutes and then switch off the oven, allow the meringues to cool completely in the oven – this is how they will obtain their brownie like texture. Once completely cooled they can be used straight away, or stored in a tin, separated by baking parchment, where they will keep for 5 days. 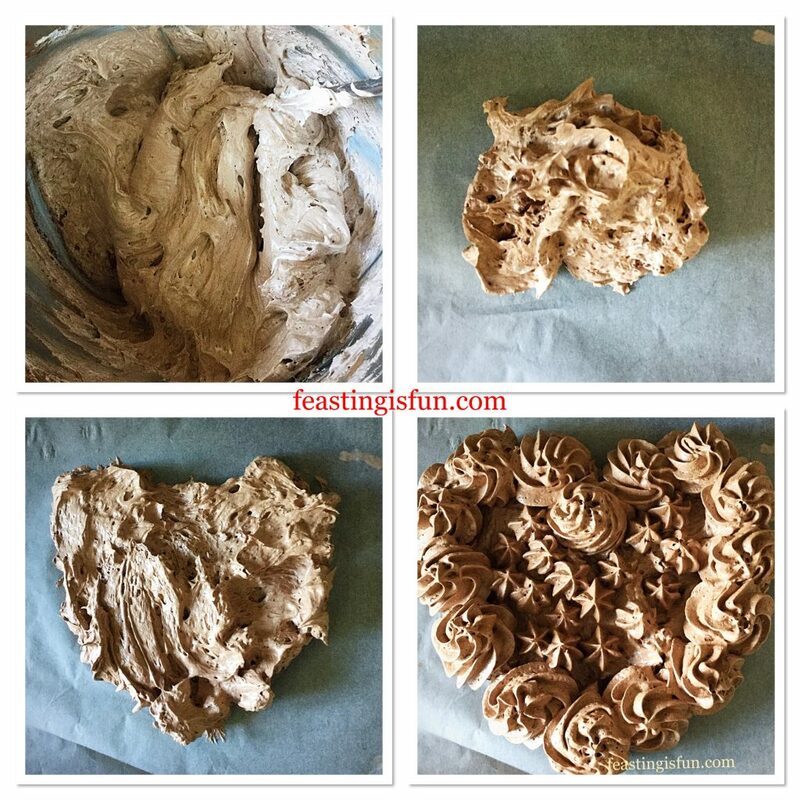 Chocolate meringues that taste like the best brownies! Place the fresh or frozen raspberries into a medium bowl. Sprinkle over 1 tablespoon of caster sugar. Cover and leave for at least an hour. Tip the raspberries, sugar and juice of a lemon into a blender. Blitz in the blender until you have a super smooth purée. Remove the vanilla ice cream from the freezer 20 minutes prior to assembling the sundaes. 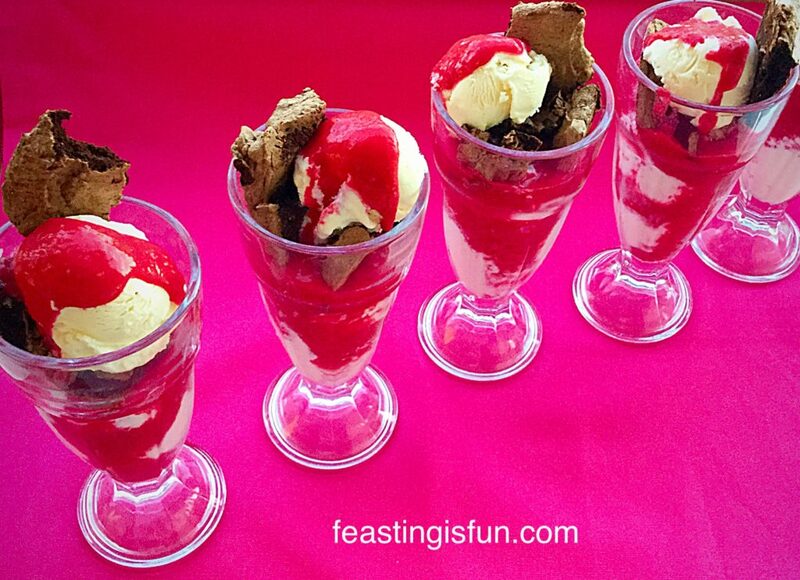 Place a scoop of ice cream into each sundae glass. Pour over some raspberry coulis, ensuring that you have a little left for the tops of the sundaes. Add another scoop of ice cream to each sundae glass. Break two thirds off of the chocolate meringue, break up and add on top of the second ice cream layer. Repeat for each sundae. Add a third and final scoop of ice cream on top of the crumbled chocolate meringue. Finish with a final drizzle of raspberry coulis and the final third of the chocolate meringue. Raspberry Chocolate Ice Cream Sundae ready to be eaten and enjoyed. 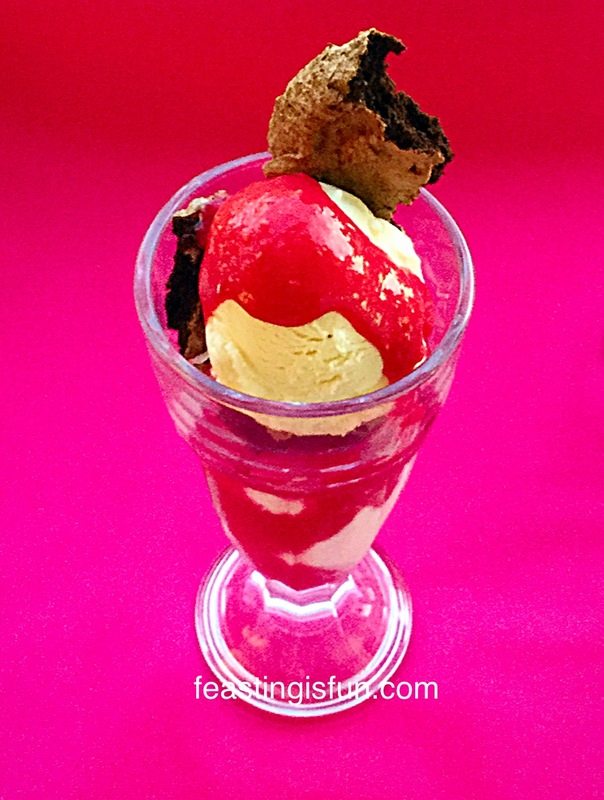 Serve with a long sundae spoon so that you can reach right down to the very bottom of your sundae glass. You are not going to want to waste any of this utterly luscious, refreshing dessert! I bought these sundae glasses a couple of years ago, in Asda for £1.50 each. I had been wanting some for ages and as a rather clumsy person at times, I needed something sturdy that could withstand me and be used for smoothies, milkshakes and of course sundaes. Plus if I do break one it is cheaper to replace. We all enjoyed these Raspberry Chocolate Ice Cream Sundaes for dessert today and were amazed a not only the awesome flavour combo, but also how refreshing they are. These are a massive hit and will be enjoyed on many more occasions throughout the warmer months. Raspberry Chocolate Ice Cream Sundae add spoon and devour. In the photo above you can see how gloriously dark the inside of the chocolate meringue is – yummy! I never really urge you to try any particular recipe, but in this instance I am. 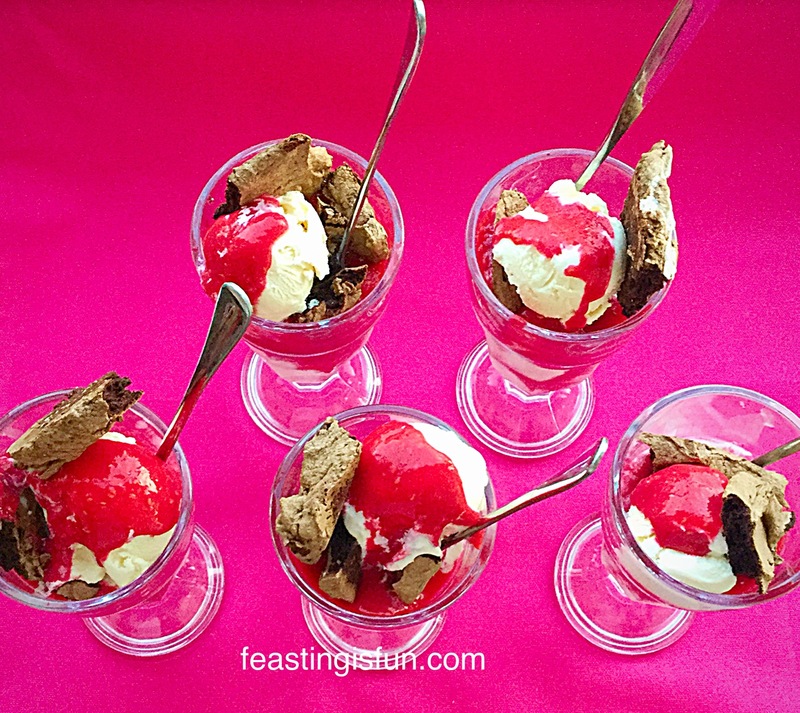 The theme of Feasting is Fun is sharing and I’d be crazy not to encourage you to try these Raspberry Chocolate Ice Cream Sundaes at least once! The meringues can’t fail as they aren’t meant to be light and fluffy, rather more like a dense brownie texture. Ice cream can be bought and the raspberry coulis is a whizz – literally. Ooh I should also mention that this is a fab recipe if you have a sore throat – three of us here have sore throats at the moment and this cool, refreshing sundae really soothed. Whatever you are making and baking in you kitchens this weekend I really do hope you have fun creating a feast to be share. Hello my lovely readers. 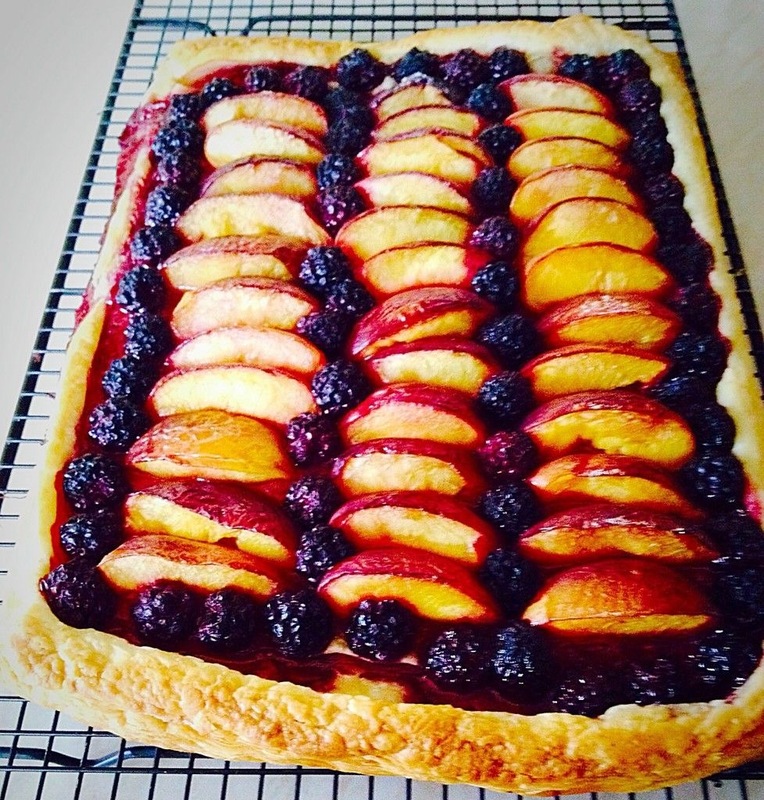 I have a rare recipe on my blog for you today – a dessert. I was shocked when I realised just how few dessert recipes I have. It just goes to show, we may have cake or cookies in the tin, but I rarely make dessert, much to my Hubby’s disappointment. So in order to correct this I have made a delicious Lemony Strawberry Pavlova! 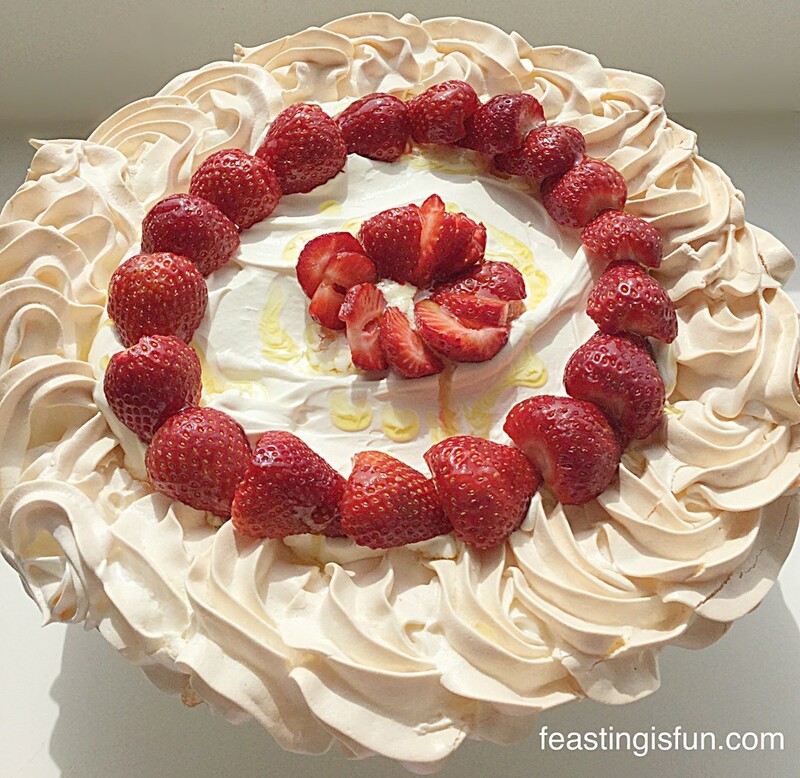 Lemony Strawberry Pavlova so light and refreshing. As you may be aware, I love lemons, especially in cakes like my Mini Lemon Drizzle Bundt Cakes. This lemon pavlova is the stuff of fairies, rainbows and dreams. It is incredibly light, with a crisp, outer shell that hides a soft, marshmallow like interior. It really does melt in your mouth! Slathering the top with dreamy, lightly whipped cream, fragrant strawberries and finishing with a limoncello sticky drizzle. 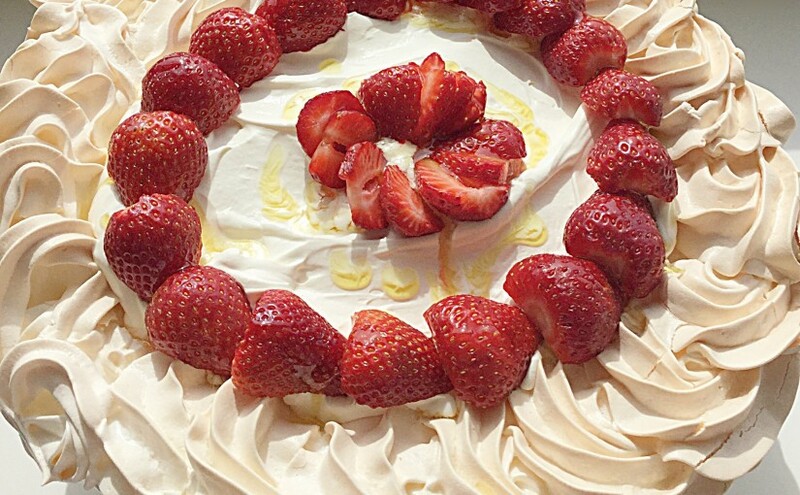 This Lemony Strawberry Pavlova is the perfect dessert, especially on a Sunday after a roast. 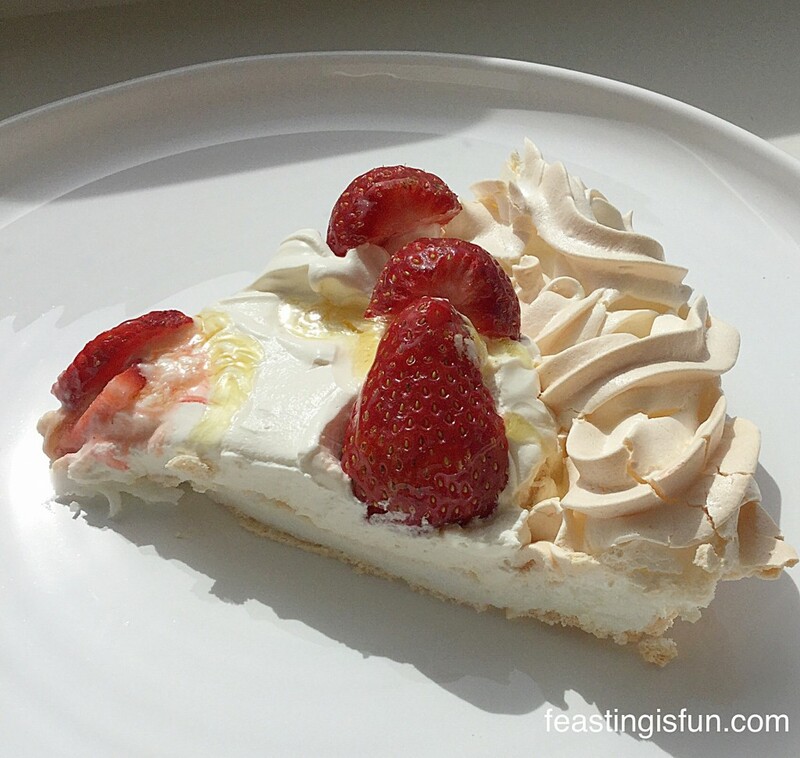 Lemony Strawberry Pavlova a generous slice! Having made a few pavlovas now, I think that I’ve got them pretty much nailed. Yes I know that the weather, in particular humidity, can play havoc with them, but they are a fairly easy, foolproof dessert. The way I see it is this; if the worse happens and they crack and crumble, then make an Eton mess – whipped cream, crumbled meringue and fresh fruit. Altenatively if the cracking isn’t that bad, slather them with whipped cream and fruit and nobody will notice the disaster you have managed to avert 😉. Lemony Strawberry Pavlova look at the marshmallow inner, utterly melt in the mouth. Fortunately this Lemony Strawberry Pavlova behaved. Today is a sunny dry day and apart from me using a new baking tray that was just a teeny bit too wide for our oven, hence this pavlova was cooked on a slant, it turned out beautifully. Better than that it tastes amazing. 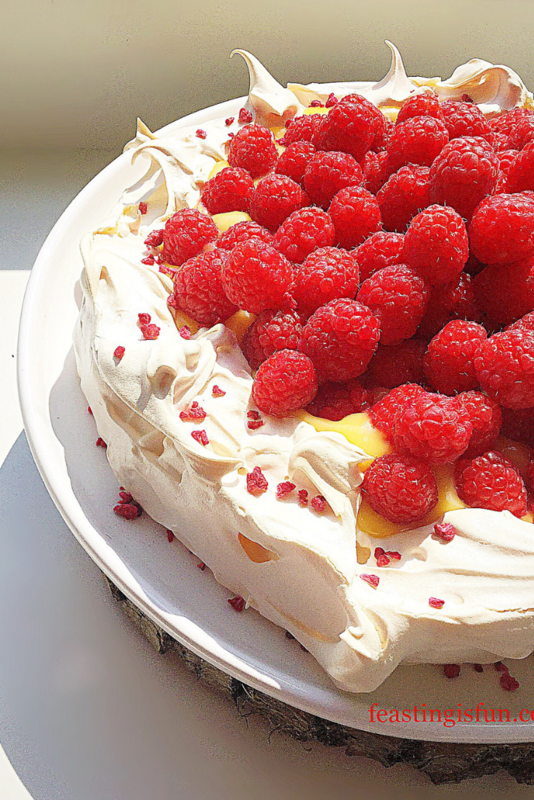 If you’ve ever eaten lemon roulade, then that has a similar texture to this pavlova. 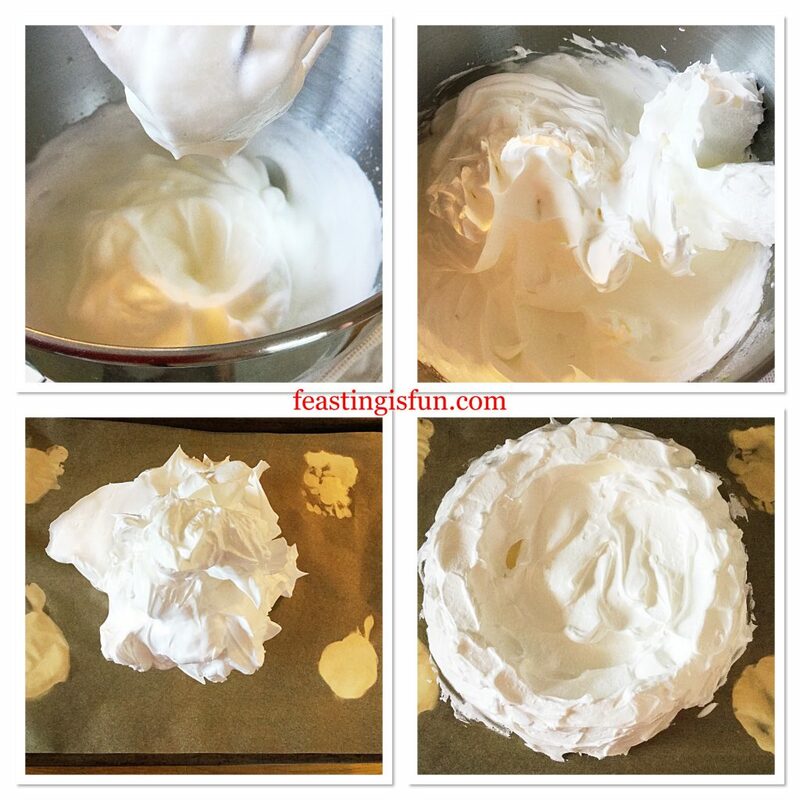 When I first started making pavlovas I hadn’t any pictures to guide me through the process, so I’ve included a few so that you will know how things are supposed to look! Also I managed to get hold of some early season British strawberries, they smelled so fragrant. 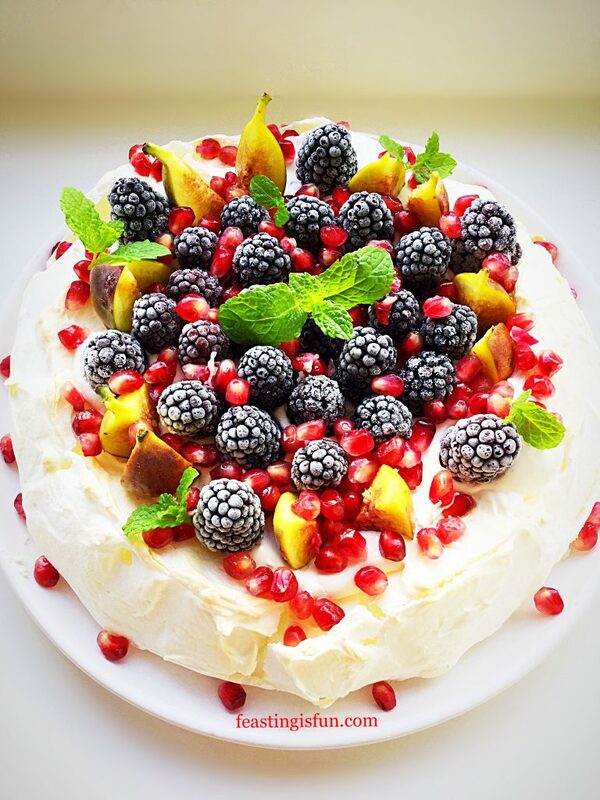 This pavlova would also work well with Raspberries, Blackberries and Blueberries, so use whatever fruit is in season. 6 Large Free Range Egg Whites – the yolks will keep for a day in the fridge and I’m making ice cream tomorrow which they will be perfect for! Method: Preheat the oven to 180C/160C fan, gas mark 4. Make sure the large bowl you will be whisking the egg whites in is scrupulously clean. Cut 1 lemon in half and wipe around the inside of the bowl with it. Separate the egg whites from the yolks and place the egg white into the clean, lemon wiped bowl. Squeeze the juice of the cut lemon into the bowl with the egg whites, ensuring pips and pulp are caught by a sieve. Start whisking on a slow speed and gradually build up to high. Keep whisking until the egg whites have reached the stiff peak stage. This is a stiff peak – now time to start adding the sugar. I couldn’t take a photo and hold the whisk up, but you can see the peaks in the bowl stand up and the egg white on the whisk didn’t move whilst I stopped to take a snap. Resuming whisking on a high speed add the caster sugar 1 tablespoon at a time, or do as I did, pour it from a jug in a slow gentle stream so that it all becomes slowly incorporated into the egg whites. 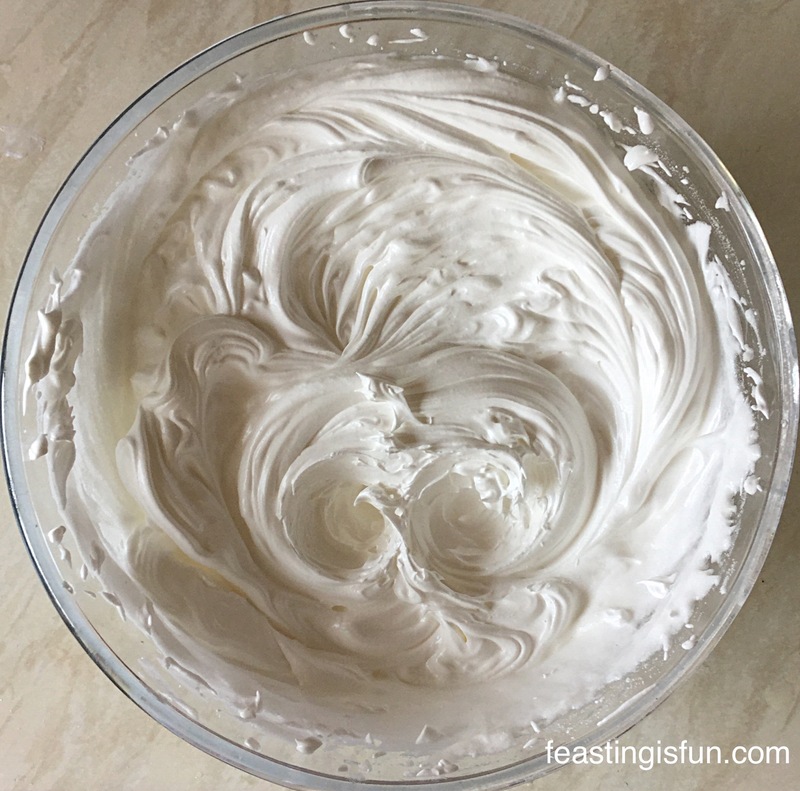 Once the meringue looks glossy, with a satin sheen, the meringue is mixed. Add the corn flour and vinegar and gently fold into the meringue, so as not to knock out any of the air. Draw a 25cm circle on a piece of baking parchment that fits onto a baking tray. I drew round a 10″ cake pan. Flip the baking parchment over and secure to the baking tray with a dob of meringue in each corner. Scoop half of the meringue onto the middle of the disc. Using a palette knife spread the meringue out so that it fills the marked circle, ensuring it is fairly level. 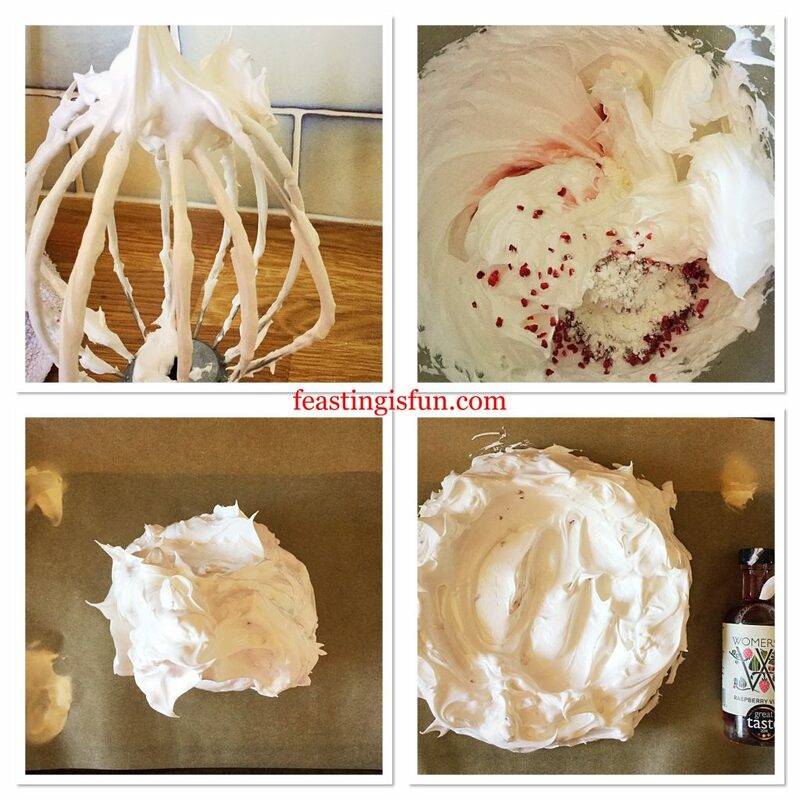 Fill a large piping bag, fitted with a large star tip, with the remaining half of the meringue. Pipe a swirl pattern around the edge of the pavlova base. Piped swirls around the edge of the base give this pavlova a very pretty finish. Place the meringue into the hot oven and immediately turn the heat down to 150C/130C fan, gas mark 2. Bake for 1 hour 15 minutes – 1 hour 30 minutes. When baked the pavlova will have a hard outer shell with a hint of soft marshmallow deliciousness inside. Remove from the oven and allow to cool on the baking tray. 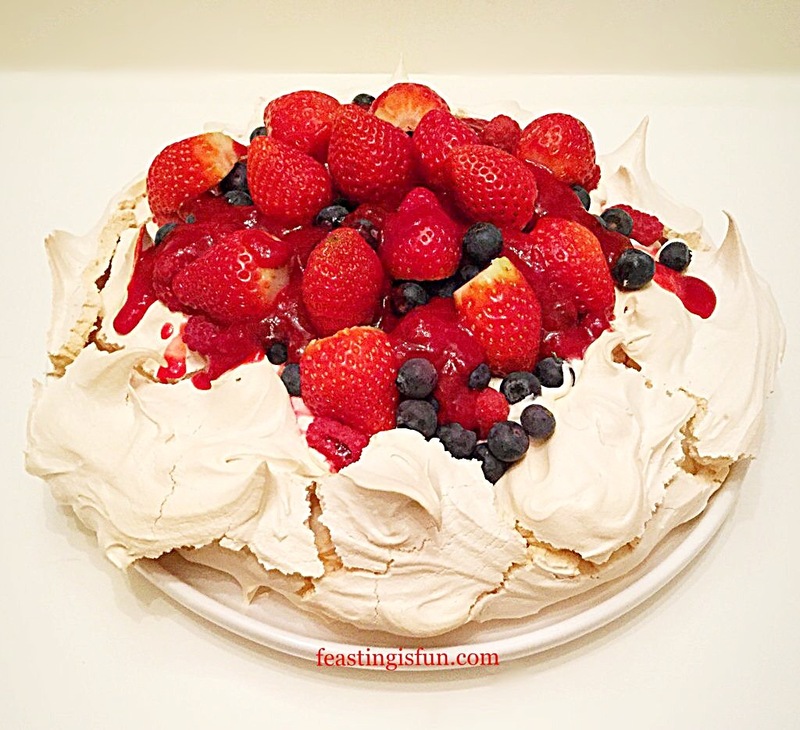 Once cooled use a palette knife to slide under the pavlova and separate it from the baking parchment. Transfer to a cake stand or serving dish. When ready to decorate, place the limoncello, juice of 1 whole lemon and tablespoon of caster sugar into a small pan. Bring to a bubble and reduce the heat until the liquid is about a quarter of its original volume. Whilst the lemon drizzle is reducing, pour the double cream into a bowl and whisk until it has reached the floppy stage. It will not be stiff, just thickened enough to hold a figure of eight. Spoon the whipped cream onto the inner part of the pavlova. The concentrated lemon drizzle should look like the picture above. Drizzle it over the strawberries, for an intensely lemon flavour. Lemony Strawberry Pavlova pretty delicious. The lemon pavlova can be made, unfilled a day in advance. Store on the original baking parchment, but loosen it first with palette knife, wrap in cling film. The cream can be whipped ahead of time and stored covered, in the fridge. Make the drizzle and assemble just before serving. 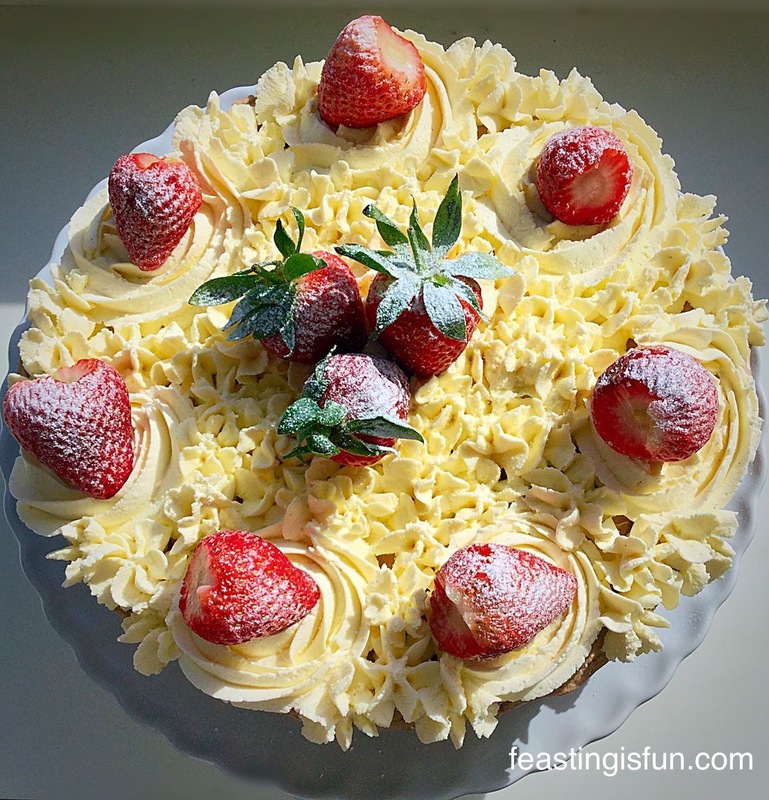 This Lemony Strawberry Pavlova is sure to wow any dinner party guests and your family. It is so light and the lemon so refreshing, it is absolutely perfect for dessert after a heavy meal, such as a roast or curry. One bite of this delicious delight and my mouth felt cleansed and ready for a second, third……. 😉. Whilst I am unreliable at the best of times, I really am going to try to make one dessert a month. Yes really, a proper pudding, or lighter dessert during the warmer months. My husband will be a very happy man! Are you a dessert person? Do you look at a restaurant menu, pick your dessert and plan your meal around it?? Raspberry Chocolate Pavlova soo good. I love reading your comments, thank you for taking the time to leave them and keep them coming please? I’m usually around on Twitter most days, so if you have any cooking/baking dilemmas send me a tweet and I’ll do my best to get back to you? I may not always have the answers, but I belong to an awesome community of amazing cooks and bakers. Between us there isn’t usually much that we can’t help with! Have fun whilst you are cooking/baking and remember a feast can be improved with good company.